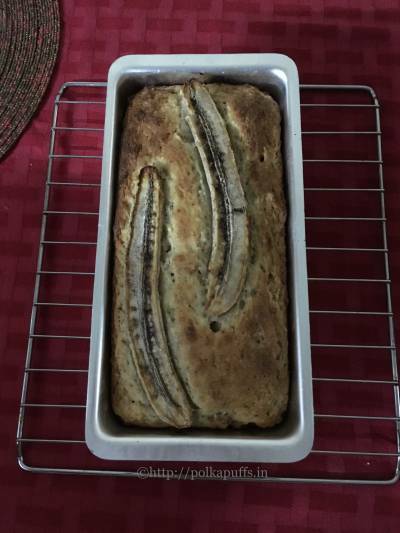 Egg free Whole wheat Banana and Walnut Cake | Vegan Banana Loaf is one of my go to recipes that came across online a few months ago. I have made it quite a few times since then and it always turns out perfectly!! 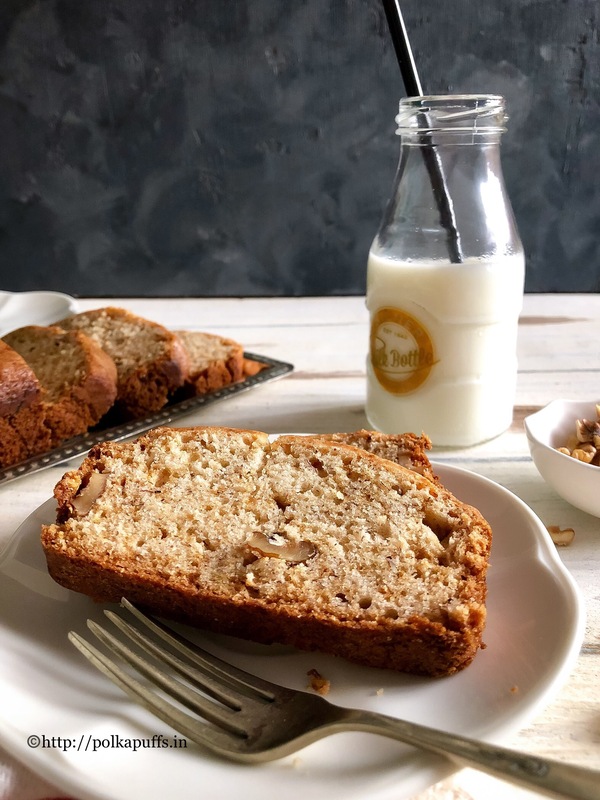 No- fail recipe and the results are so delicious 🙂 Whenever I’ve got some overripe bananas sitting in the fruit basket, I either make this Egg free Whole wheat Banana and Walnut Cake | Vegan Banana Loaf or my Rustic Banana Bread with Yogurt. If you like chocolate then you can make my Banana Breakfast bars, that is loaded with chocolate and butterscotch! 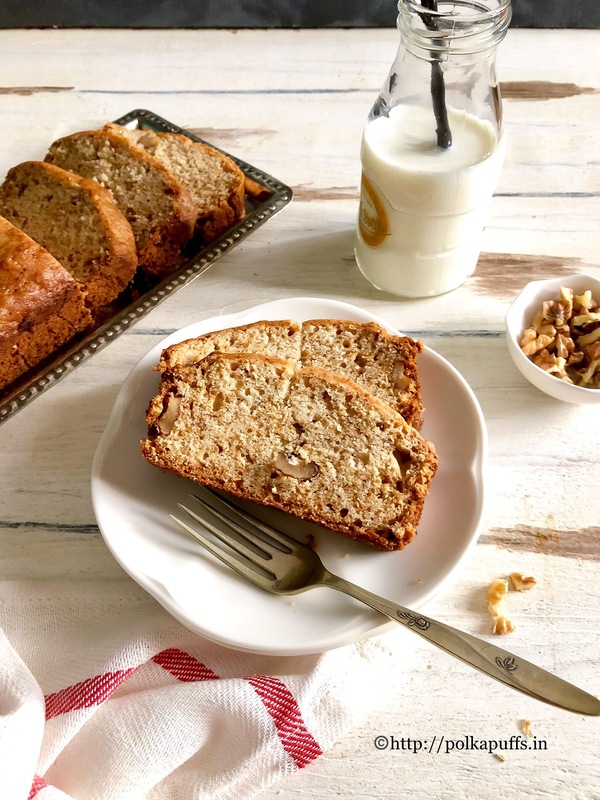 Egg free Whole wheat Banana and Walnut Cake | Vegan Banana Loaf is vegan too, has no eggs and it takes a few ingredients to put together. Ingredients that one has in their pantry on a daily basis. Just a few minutes of preparation and in the oven this goes! That’s all, real quick. Great after school snack for kids with some milk or a glass of juice. You can even pack it for their lunch boxes along with some sandwiches. It’s healthy and really delicious. Preheat the oven at 180’c. 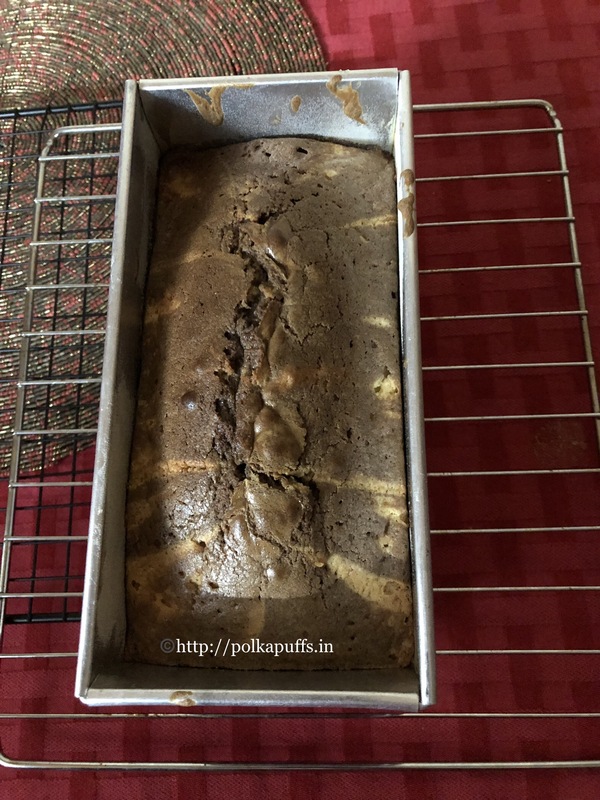 Grease a 7″loaf tin and dust it with some flour. Set it aside. Take the ripe bananas in a large mixing bowl. Mash them well with a fork. Add castor sugar. Mix sugar with a whisk. Add oil and whisk again until it’s well incorporated. Add vanilla extract next, whisk gently. Sieve whole wheat flour, baking powder, baking soda and salt next into the banana and oil mixture. (reserve 1 tbsp. whole wheat flour aside). Mix well. Add cinnamon powder and nutmeg powder. 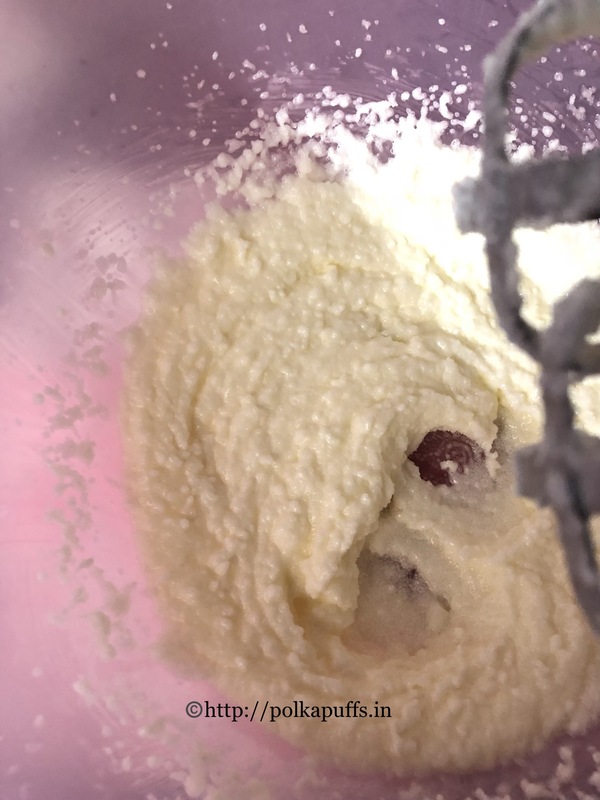 Mix well again but avoid over mixing. Mix walnuts with the reserved whole wheat flour and add to the ready batter. Fold the walnuts gently into the batter. Pour the ready batter into the prepped tin. Bake the cake for 45-50 minutes @ 170’c. Once the cake baked, take a toothpick test. The toothpick should come out clean or a with just a few moist crumbs. Cool the cake in the tin for 30 minutes. 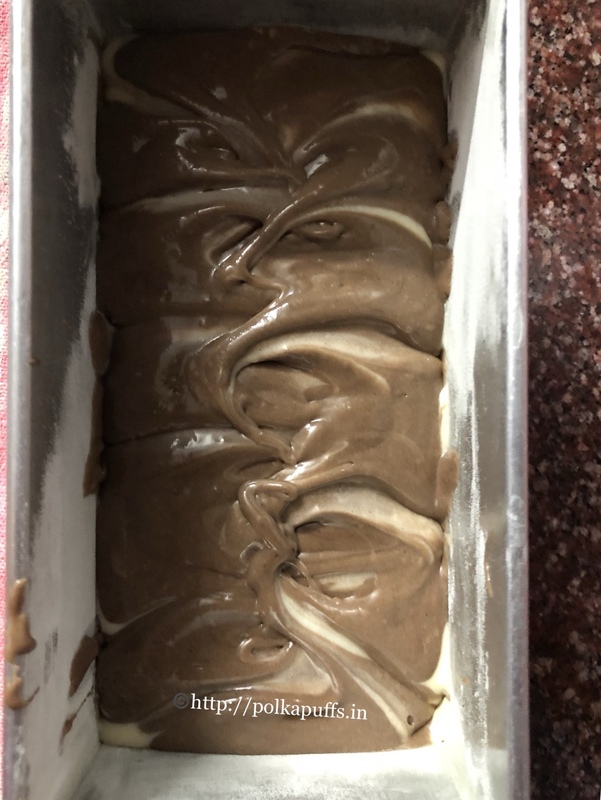 Unmould the cake and cool for another 30 minutes on a cooling rack. Slice the cake and serve. 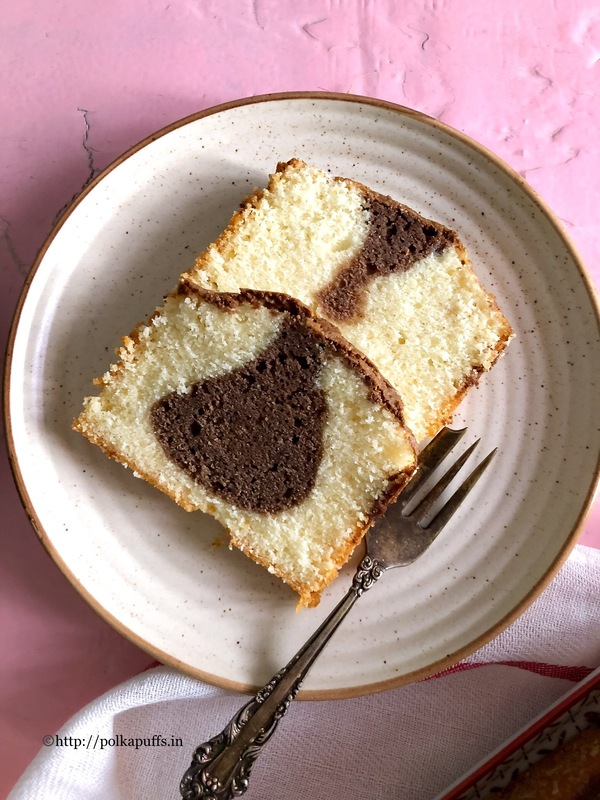 This cake stays fresh in an airtight container for up to 4-5 days. 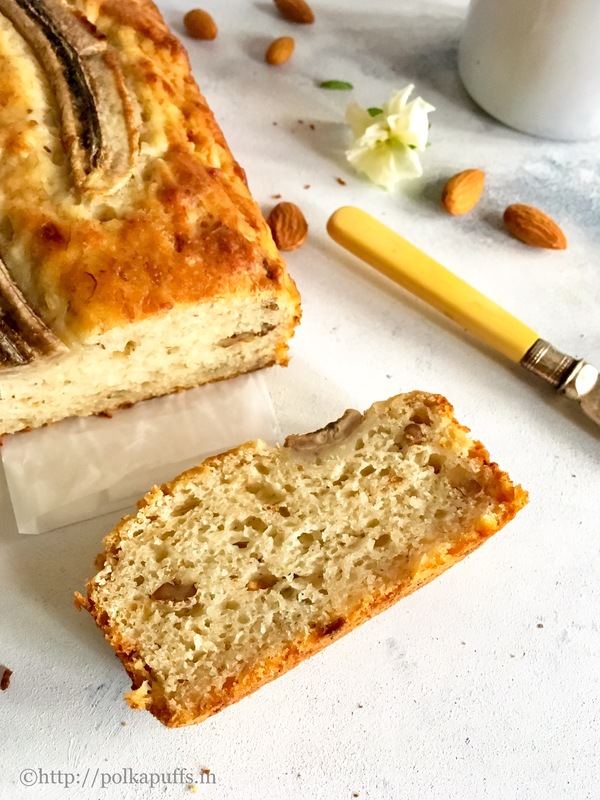 A vegan, delicious, soft and healthy whole wheat banana and walnut cake/ loaf is the perfect partner for your tea or coffee! Preheat the oven at 180'c. Grease a 7"loaf tin and dust it with some flour. Set it aside. Add castor sugar. Mix sugar with a whisk. Add oil and whisk again until it's well incorporated. Pour the ready batter into the prepped tin. Bake the cake for 45-50 minutes @ 170'c. You can skip the spices if you prefer. I used 2 large bananas, use 3 if using smaller bananas. Add nuts of your choice or skip them if you prefer. Chilli Cheese Grill Sandwich | How to make Chilli Cheese Toast is my all time favorite sandwich!! 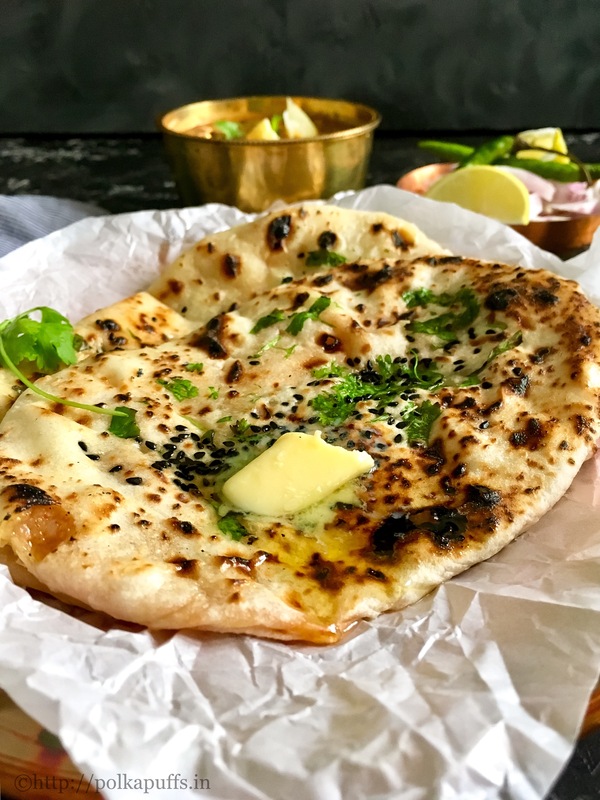 It’s spicy, filled with gooey cheese and a bit of crunch from the capsicum makes it so filling and irresistible! 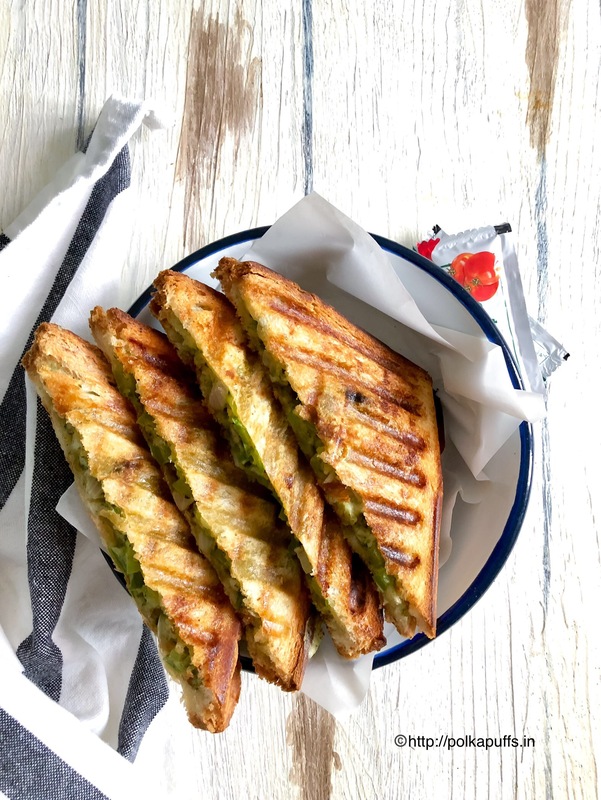 Chilli Cheese Grill Sandwich | How to make Chilli Cheese Toast is so easy to make, with simple, everyday ingredients. 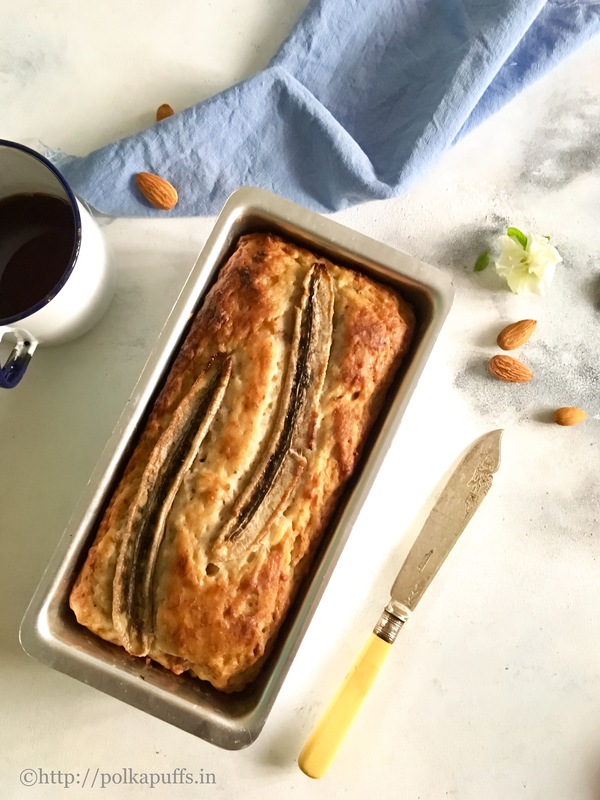 Perfect for breakfast or quick lunch/ brunch. Or even to pack some for your kids lunchbox, etc. I can practically have these everyday 🙂 and there was a time I really did it almost everyday. 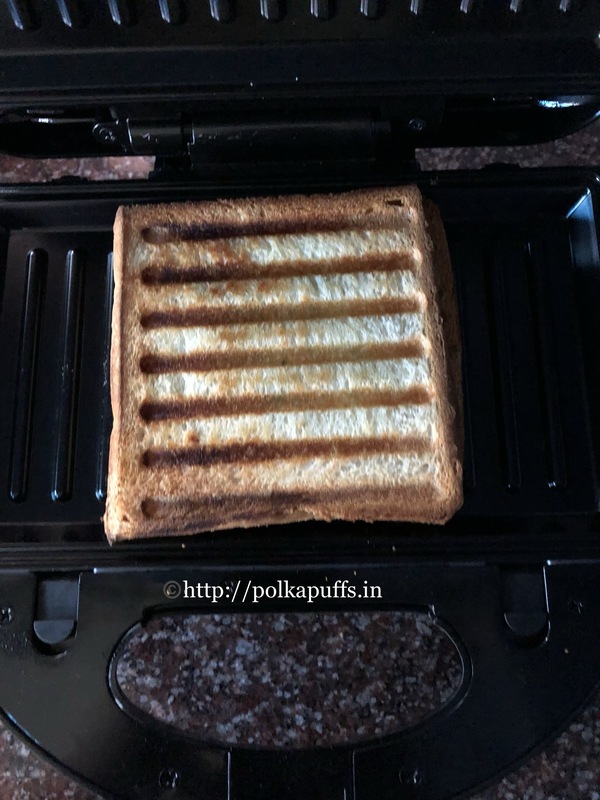 Chilli Cheese Grill Sandwich | How to make Chilli Cheese Toast as I said is my favorite sandwich after Bombay Masala Toast Sandwich. These chilli cheese grills were my staple snack back in day when I was in my college days. My college was in Fort, Mumbai and we had some of the best street food right around my college. My friends and I were regulars around this particular sandwich stall and this sandwich was my go to order. In fact that vendor knew I’d order these more often than any order sandwich! Lol!! I was so in love with it that I watched him make them every time and even learnt it quickly! 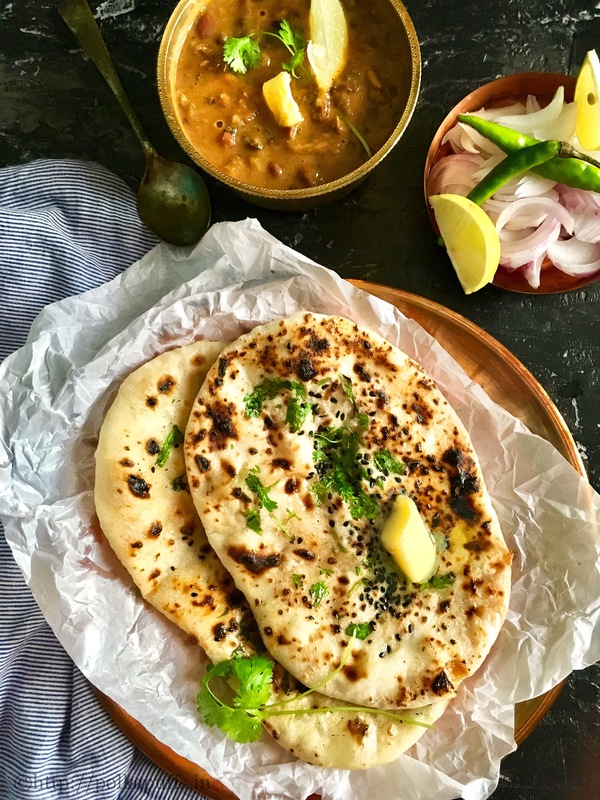 I came home on one such occasion and I was keen to give this recipe a go, not myself though 😉 I gave the recipe to my Mom, and she nailed it, it tasted so good, I knew I’d have them at home too! I was glad my Mom always had the basic ingredients for any snack at home! She can practically still whisk up anything I like to eat, all I need to do is ask :)…Moms are this way, aren’t they!? Anyways, let’s get on with the recipe. In a bowl, add finely chopped onion, green chilies and green bell pepper (capsicum). 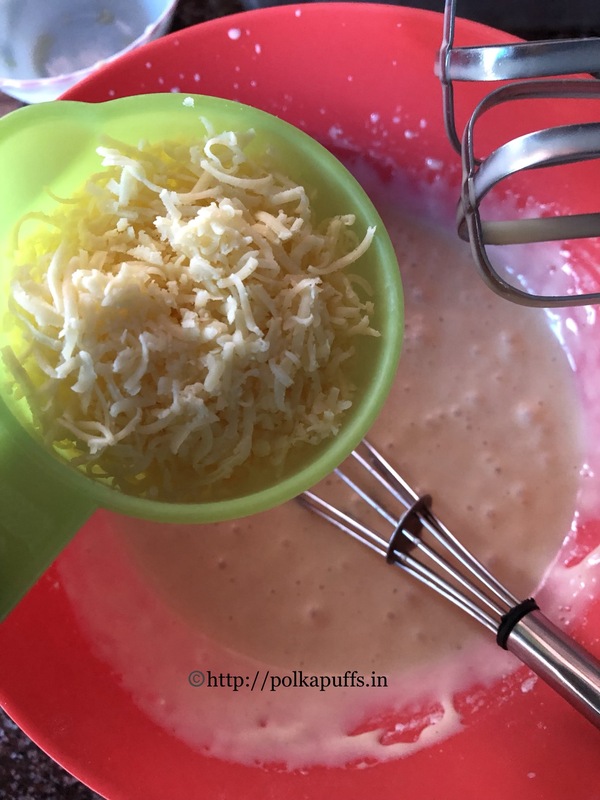 Add grated cheese, black pepper powder, salt to taste, green chutney, sandwich masala and chat masala. 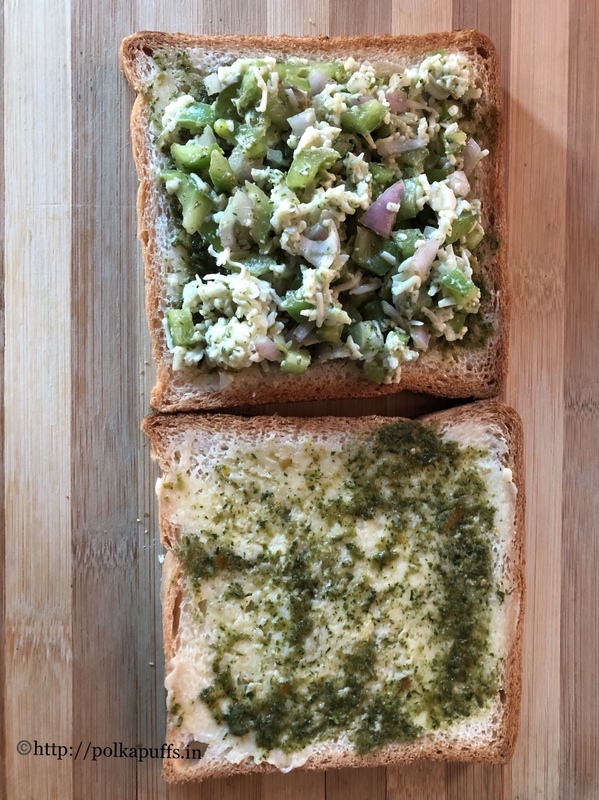 Apply butter on two slices of bread, apply some green chutney as well. Spread the mixture evenly on one of the buttered slices. Spread the mixture till the corners too. Grate more cheese if you like. Place the other buttered slice over the slice with the mixture. Heat the griller, apply butter and place the sandwich. Apply more butter on the top. Grill until golden brown and crisp. Apply some more butter and serve hot with some ketchup/ mayonnaise or any chutney. 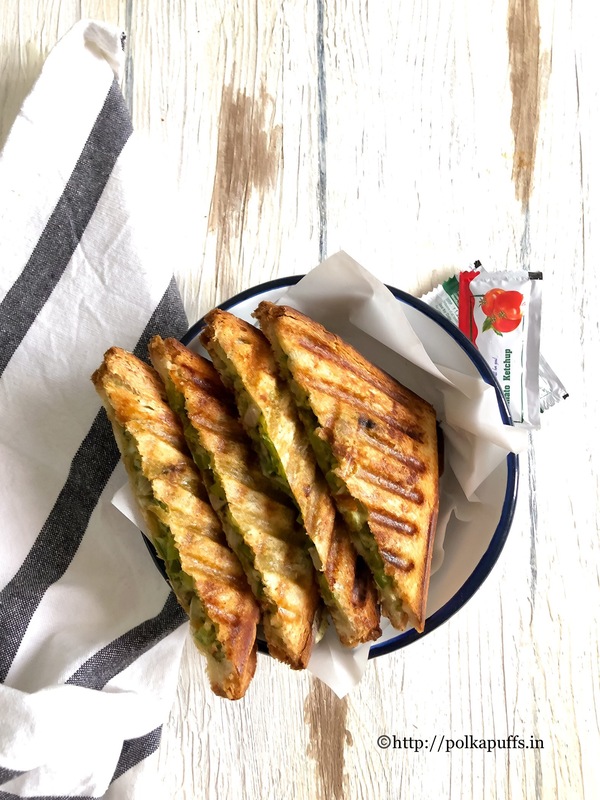 Spicy, buttery, filled with the goodness of fresh veggies and oozing with cheese, Chilli Cheese Toast is yummiest sandwich! 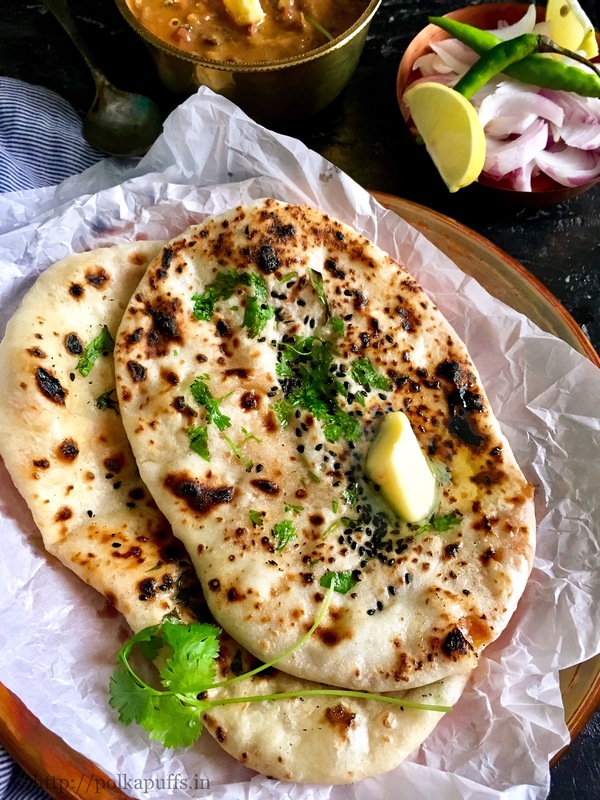 Enjoy these for breakfast or for a light meal, it's very filling and healthy. 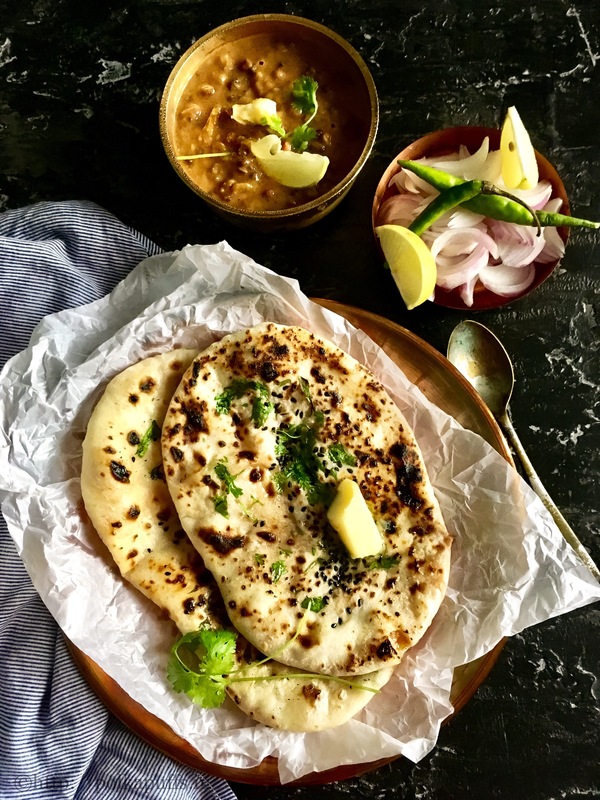 Sandwich masala is an optional ingredient. Pin it here for later??! 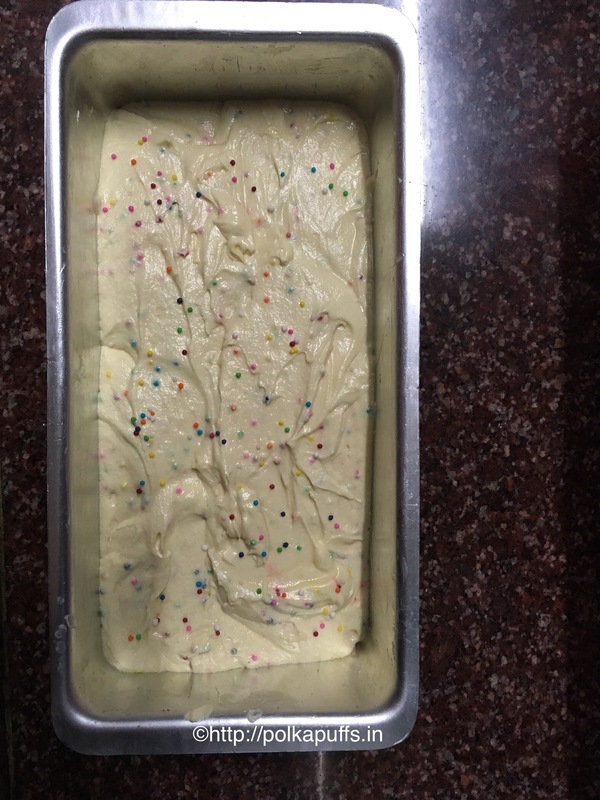 I am not someone who has ever made a proper frosted birthday cake. Although baking is such a stressbuster, I can’t bring myself to frost a cake. I’m afraid that I may not be able to make it look good enough to eat so I’d rather keep a cake naked yet pretty! 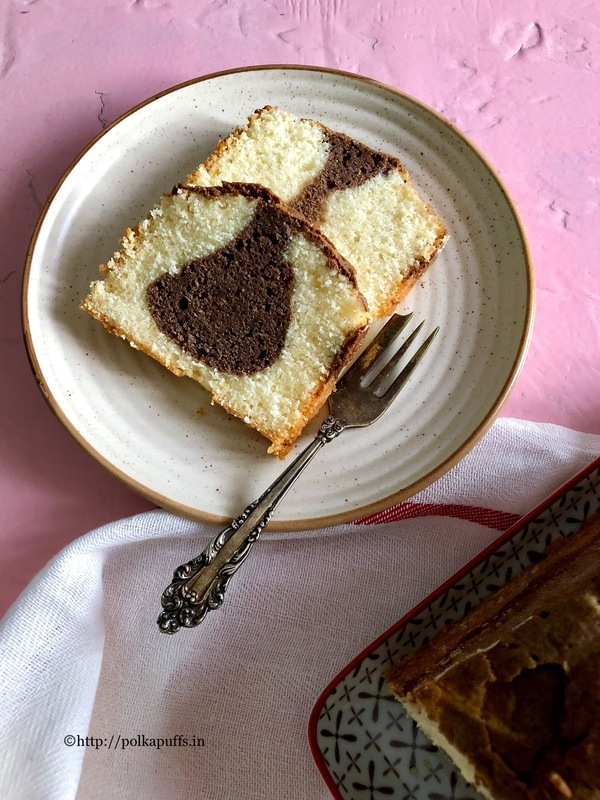 So for folks like me, this Birthday Cake Bread is the answer! 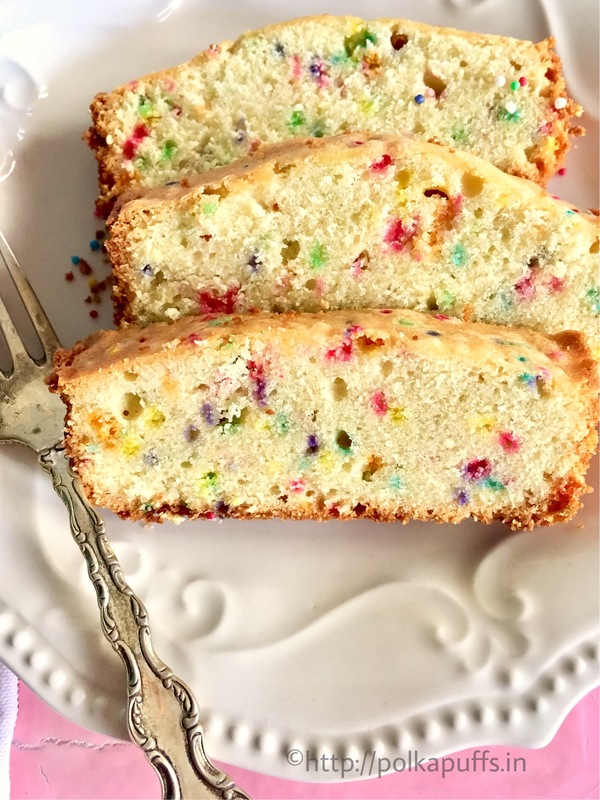 See the pretty colors of the sprinkles in the cake and that crumb! That’s a perfect 10 crumb! The buttery taste is a bonus for sure! 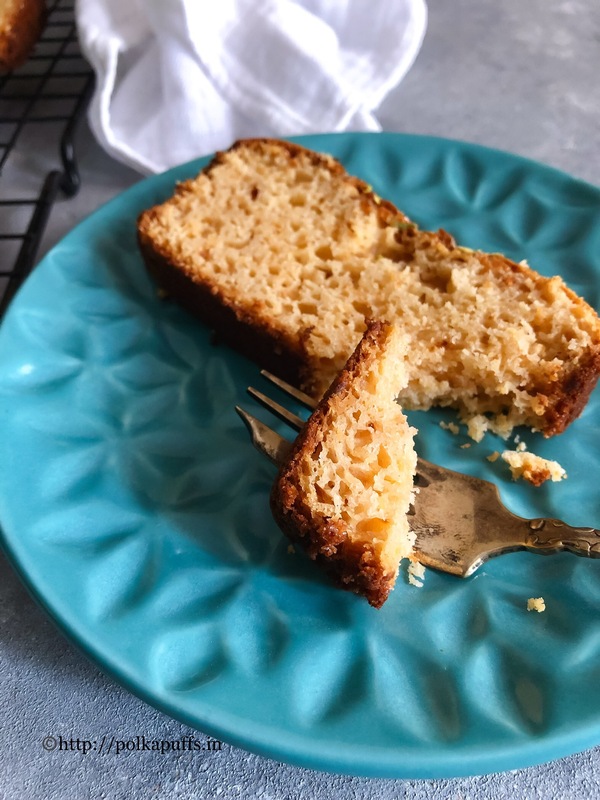 This recipe is just right even if you wish to make a Basic Pound Cake, just skip the sprinkles. But I can’t be taking all the credit for this one, I’m thoroughly inspired bake from scratch when I first saw it about 5 months ago. I had decided on making it that very minute but I had to get hold of the recipe, which I eventually did. 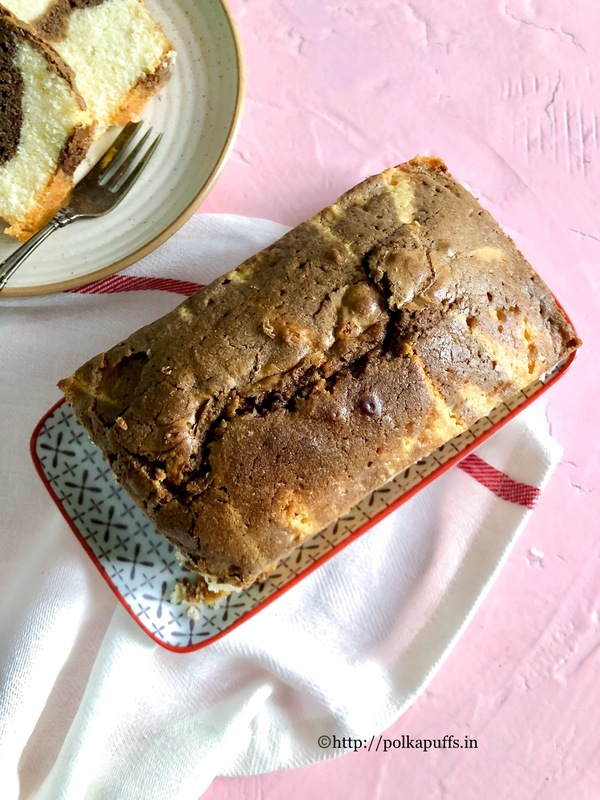 This is the third time I’ve baked this Birthday Cake Bread and it turns out better each time! I’ve adapted the recipe and then changed it ever so little just to perfect the crumb to my liking. This is the third attempt and it is the version I’ll be sharing with you guys here as it is fool-proof! Minimal efforts and basic pantry essentials are all that one needs to see this one through. Bring all the ingredients to room temperature. Preheat the oven @ 180’C. 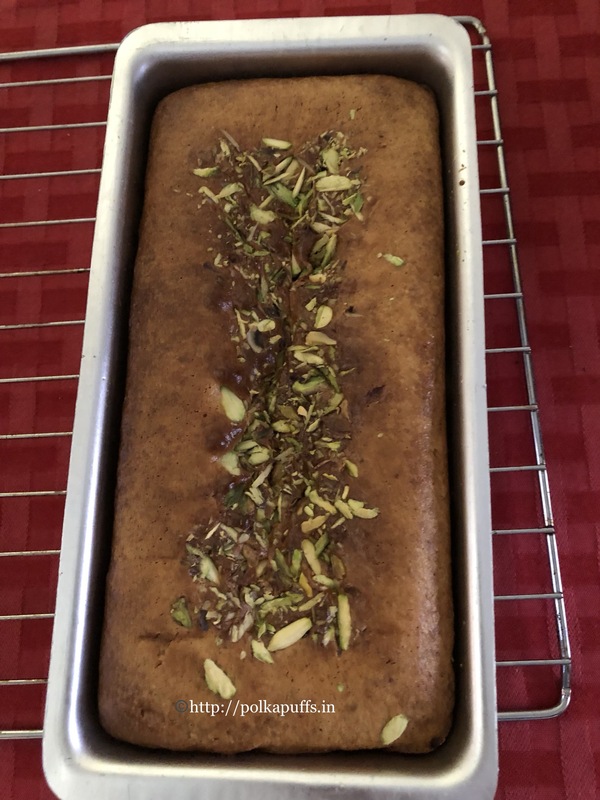 Prepare the cake tin (I’ve used a 7 inch loaf tin) by either lining it with a piece of parchment paper or grease it with butter and dust it with some flour. 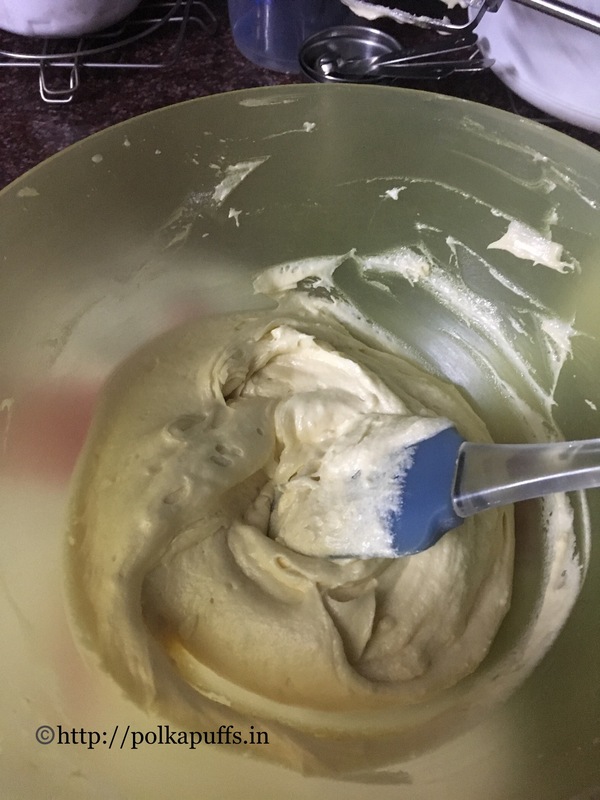 Start with creaming the butter and sugar together, scrapping down the sides of the bowl, until light and fluffy. Took me about 5 minutes using an electric whisk. Next, add the eggs one at a time, followed by the yolk. Pause to scrap down the sides of the bowl as you whisk these together with the butter and sugar. Add the vanilla extract, whisk again for a minute. Sift in the salt along with the flour. 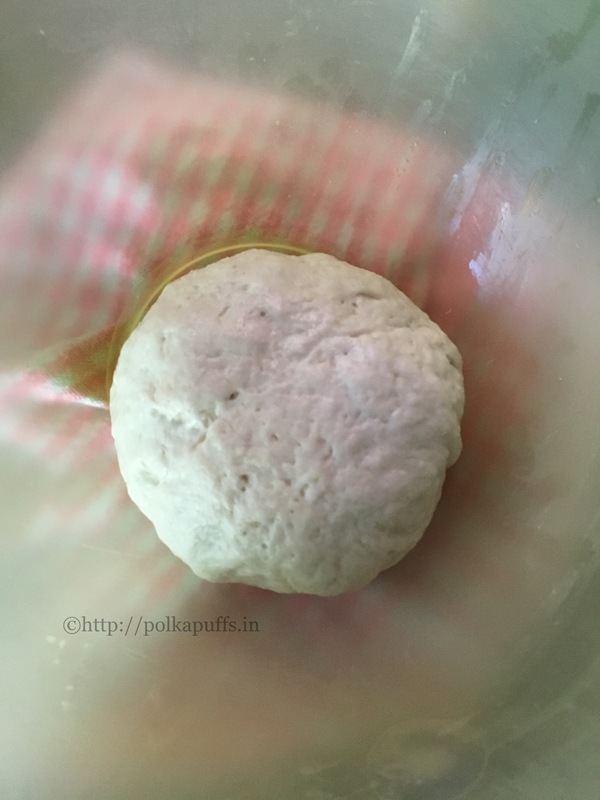 Use a rubber spatula to cut and fold the flour into the wet ingredients at this stage. 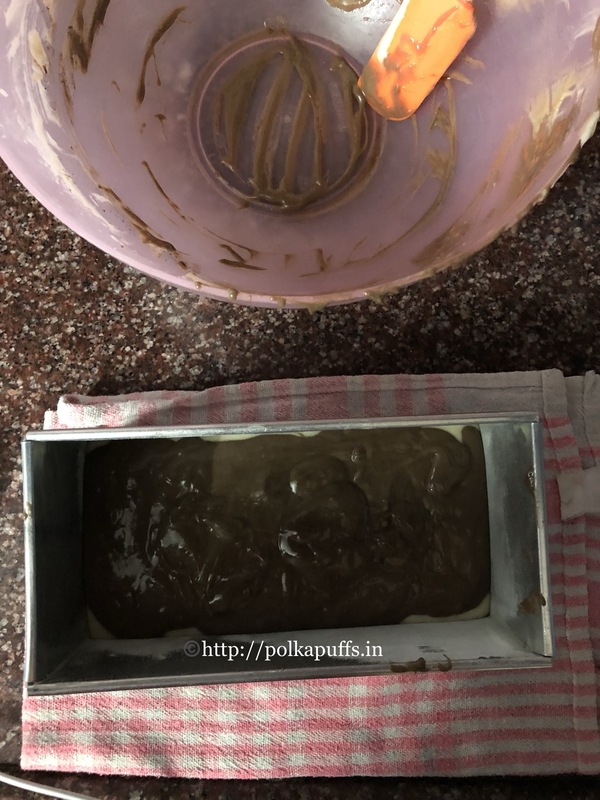 Pour the batter into the prepared tin and bake @180’c for 45-50 minutes. 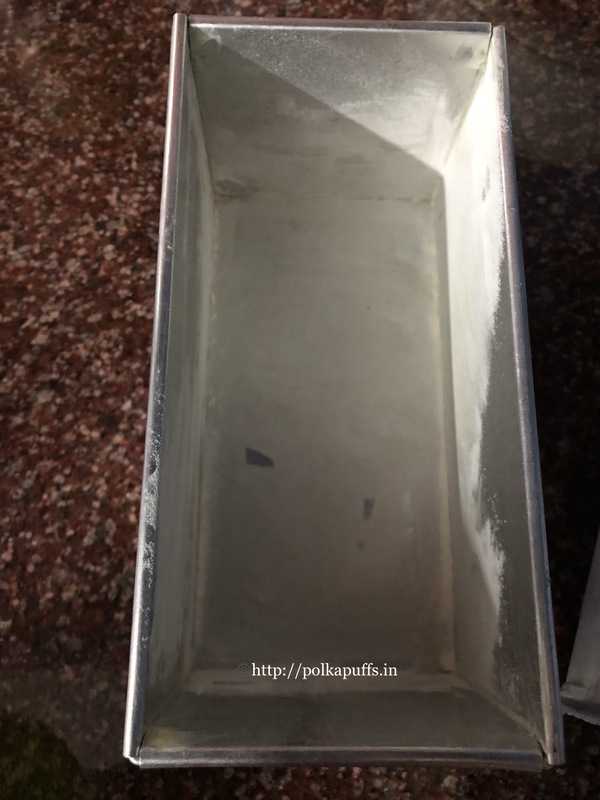 Once baked, remove the tin from the oven and let it cool for 30 minutes before unmolding the cake. 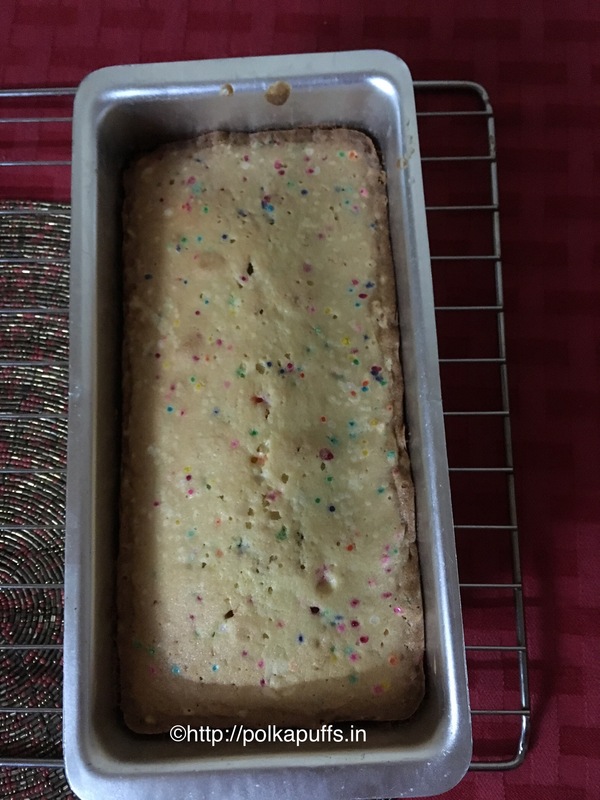 Let the cake cool down for a further 10 minutes before slicing. 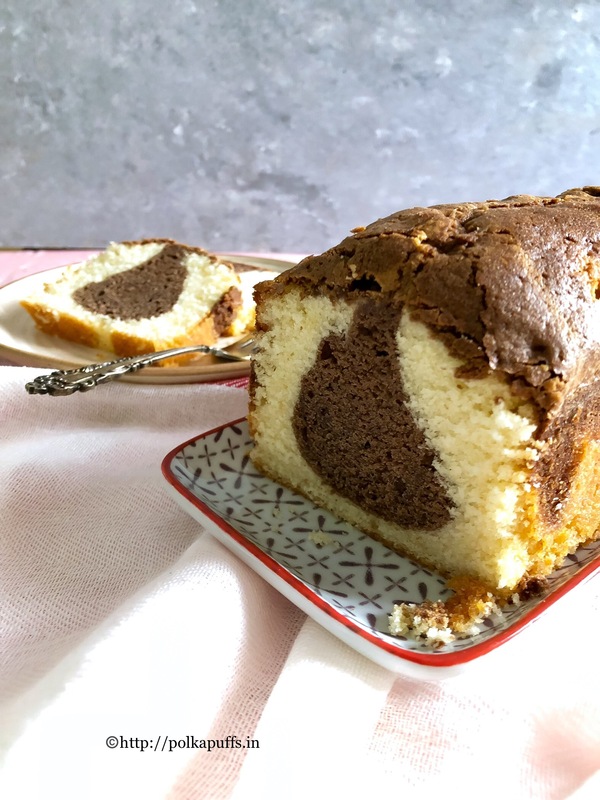 This cake keeps well at room temperature for 2-3 days in an airtight container. 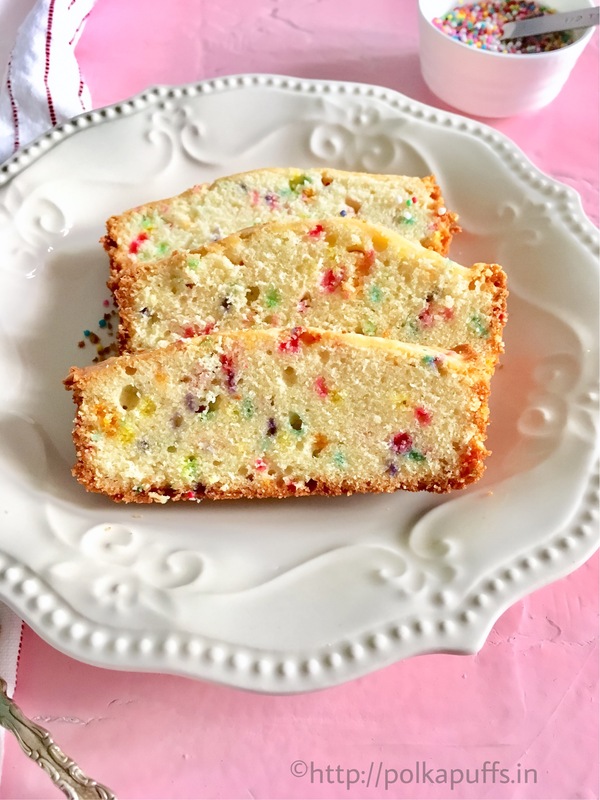 Birthday Cake Bread - you've got to make this even if it ain't your birthday yet!! 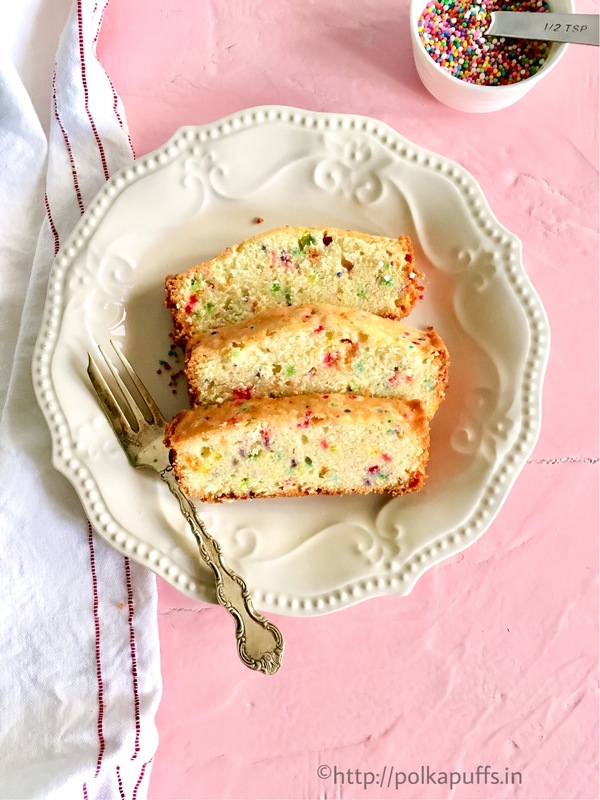 All those colorful sprinkles are just the thing you need to bring you some cheer! Bring all the ingredients to room temperature. Preheat the oven @ 180'C. Prepare the cake tin (I've used a 7 inch loaf tin) by either lining it with a piece of parchment paper or grease it with butter and dust it with some flour. Start with creaming the butter and sugar together, scrapping down the sides of the bowl, until light and fluffy. Took me about 5 minutes using an electric whisk. Next, add the eggs one at a time, followed by the yolk. Pause to scrap down the sides of the bowl as you whisk these together with the butter and sugar. 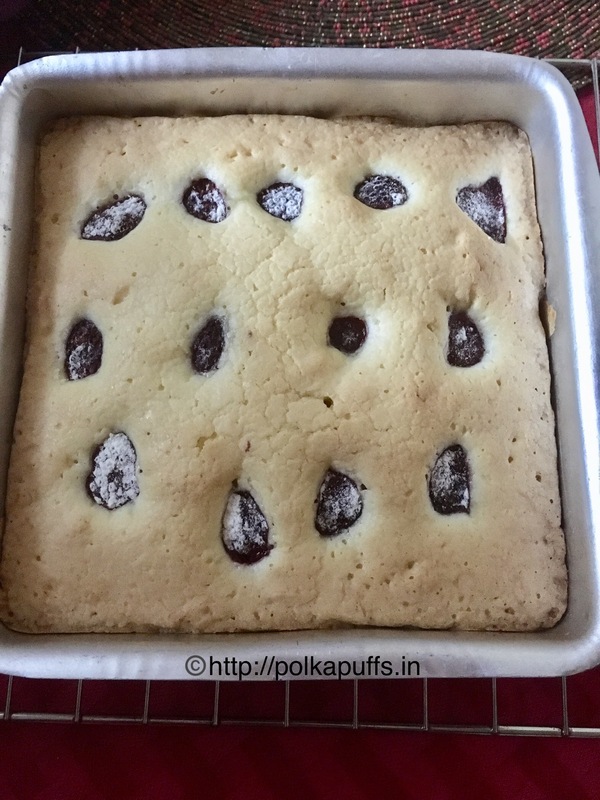 Pour the batter into the prepared tin and bake @180'c for 45-50 minutes. Use good quality sprinkles. 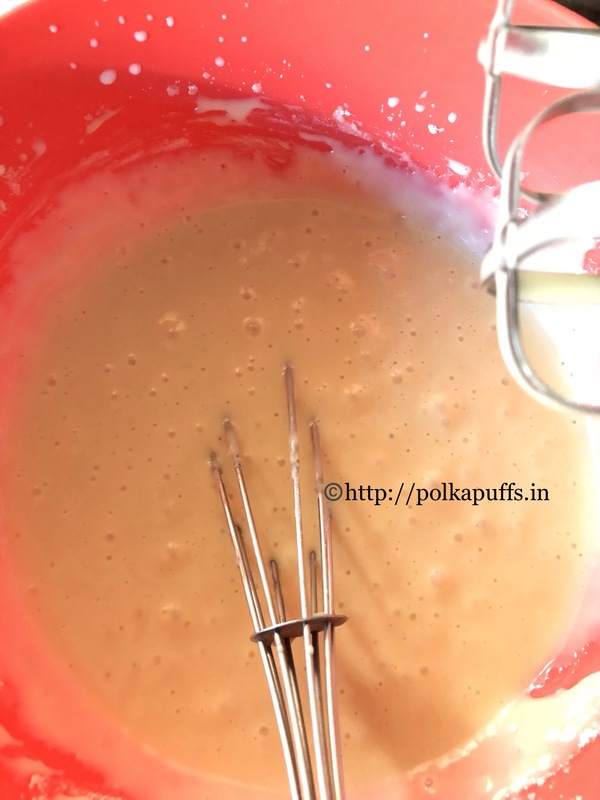 Adding the extra yolk ensures that lovely yellow color and the batter emulsifies better so the texture is perfect. The extra yolk acts as a butter but cannot replace the butter or vice versa. 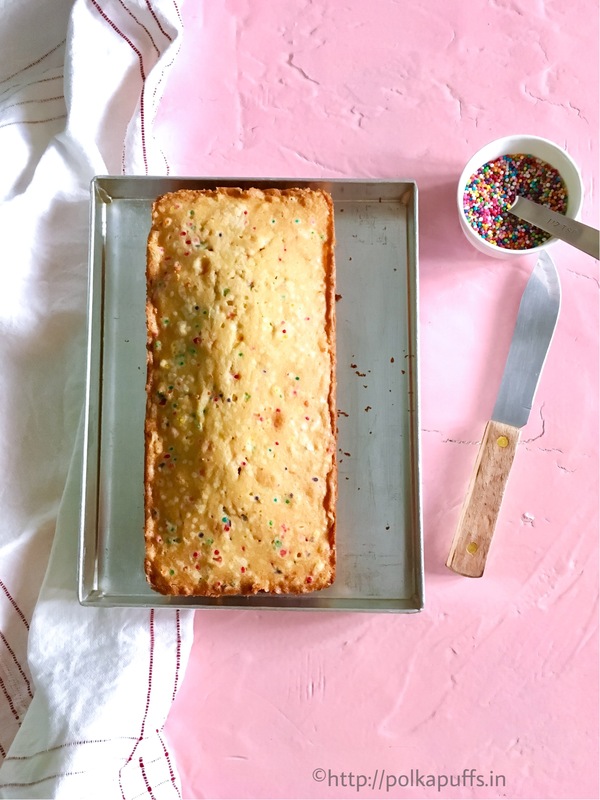 You can omit the sprinkles if you wish and make a plain cake. Keep the recipe same even if you plan on adding nuts. 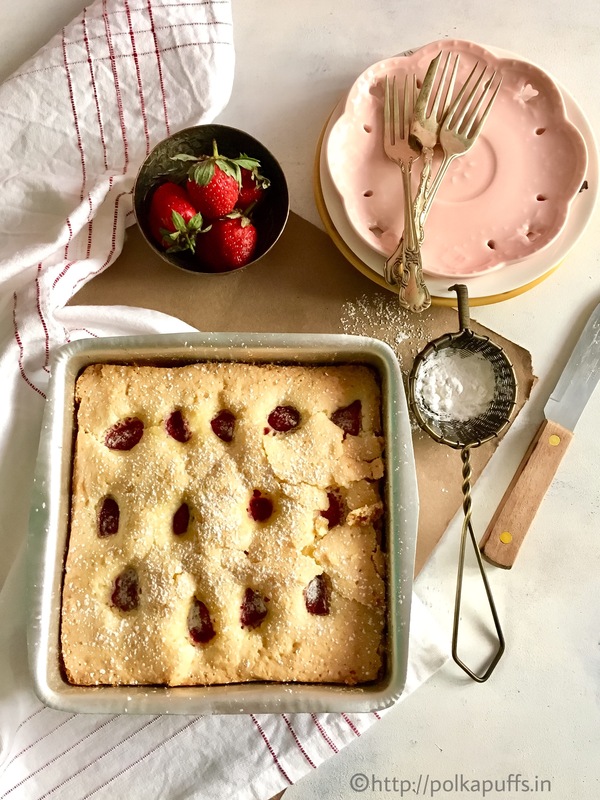 THIS RECIPE DOES NOT CALL FOR ANY BAKING POWDER OR BAKING SODA (there is no error in the ingredient list). 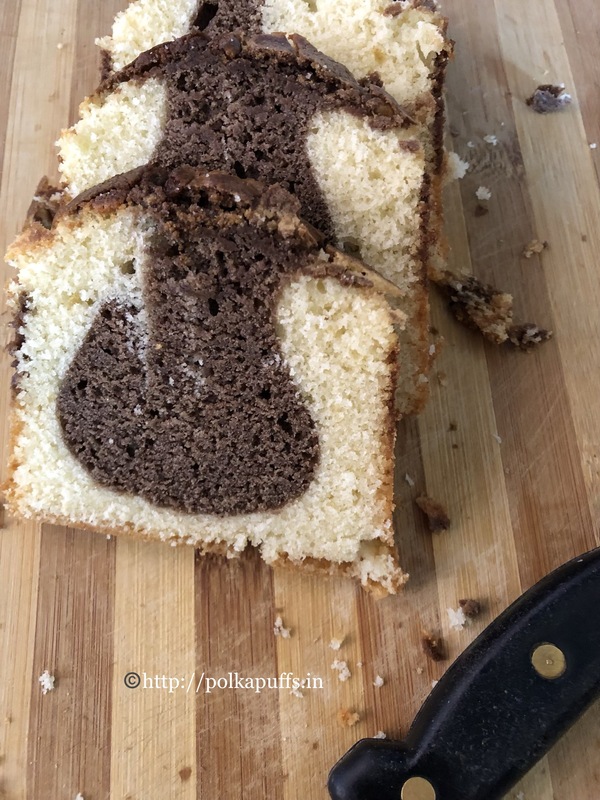 I let the cake sit for 3-4 hours before slicing, it results in neat slices. 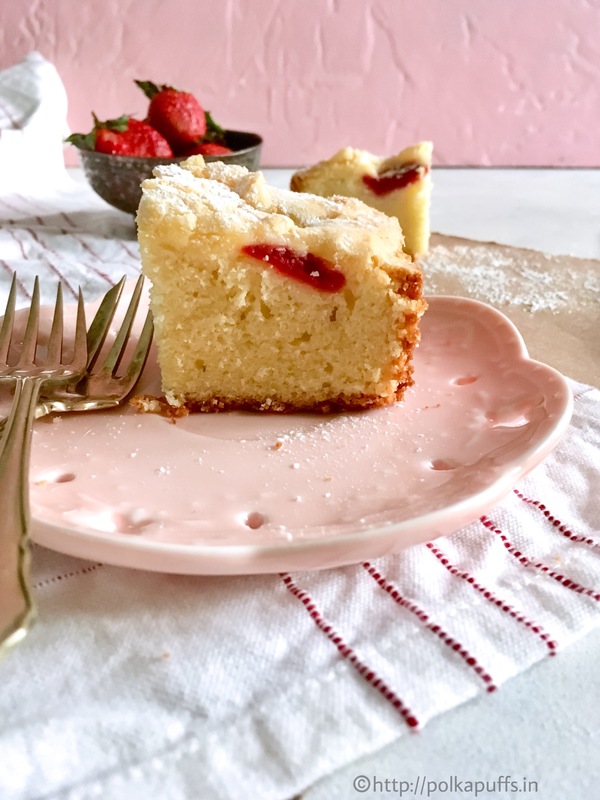 Do not slice the cake when warm else, it will result in crumbly slices. Adapted from Well Floured. Inspired by Bake From Scratch. 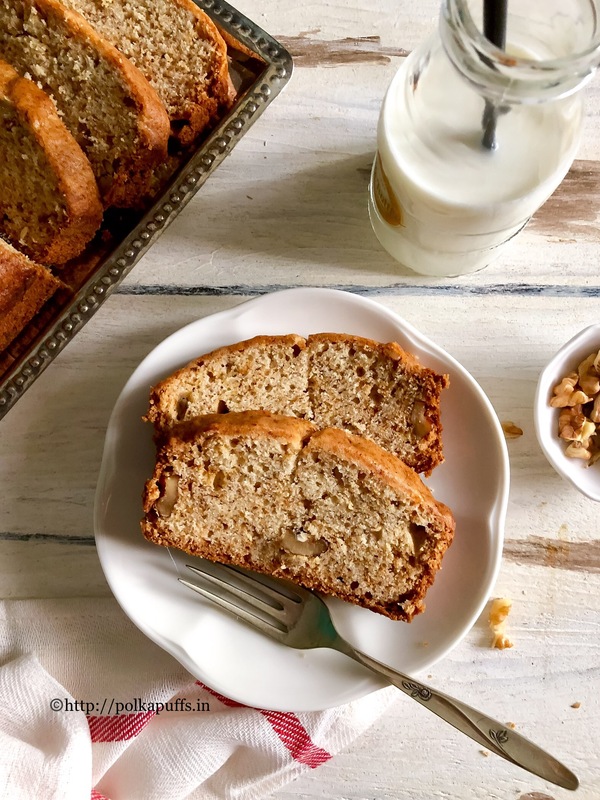 Rustic Banana Bread is a great idea for breakfast and adding yogurt makes it much more moist and delicious! 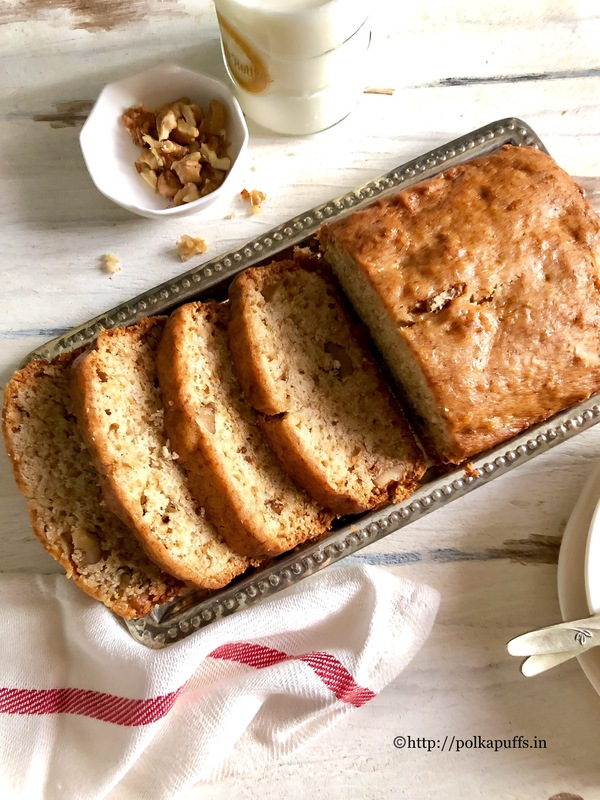 I can bet this Rustic Banana Bread will become one of your favorite breakfast options soon! 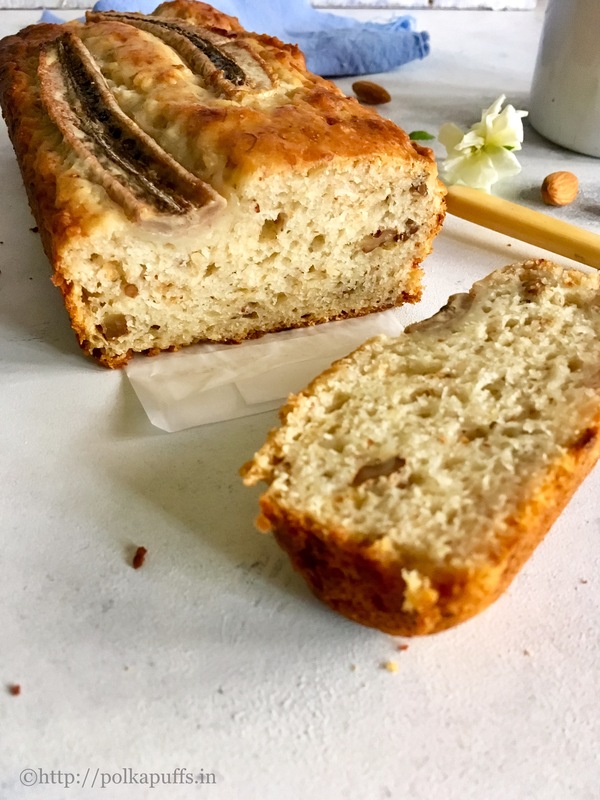 I’ve added some roughly chopped walnuts and almonds to add more flavor and fiber to this bread. 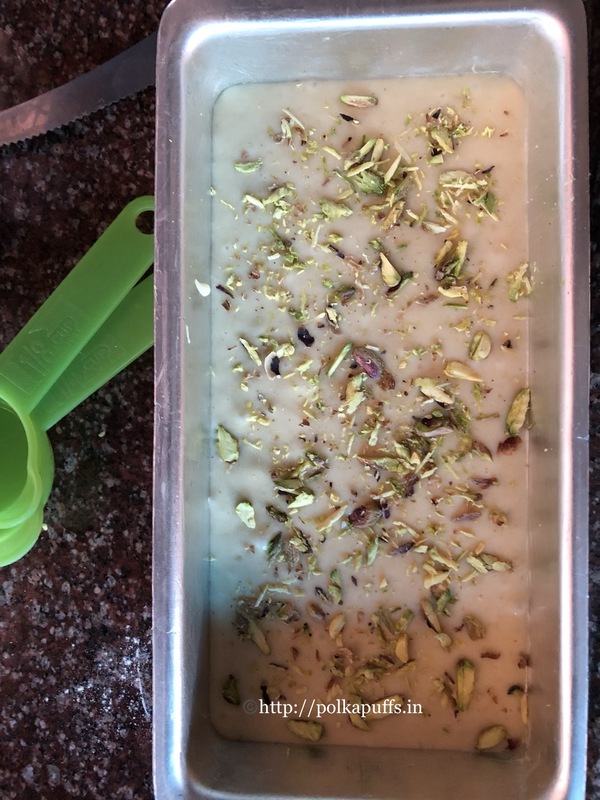 The yogurt is seriously the star, I will call it the moist-maker here! 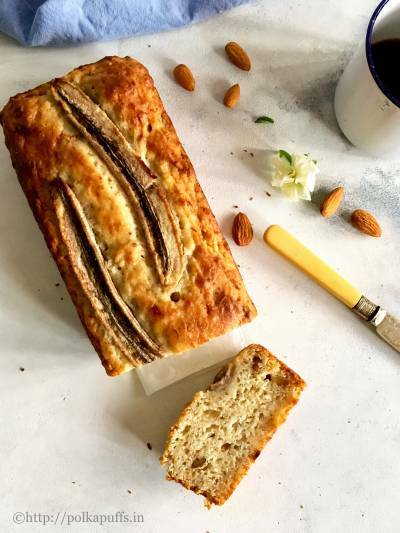 🙂 This bread is perfect for those mid-day hunger pangs or for packing a lunch box for kids. Slice the bread, toast it and slather it with some butter or your favorite jam/ spread! Yum!! 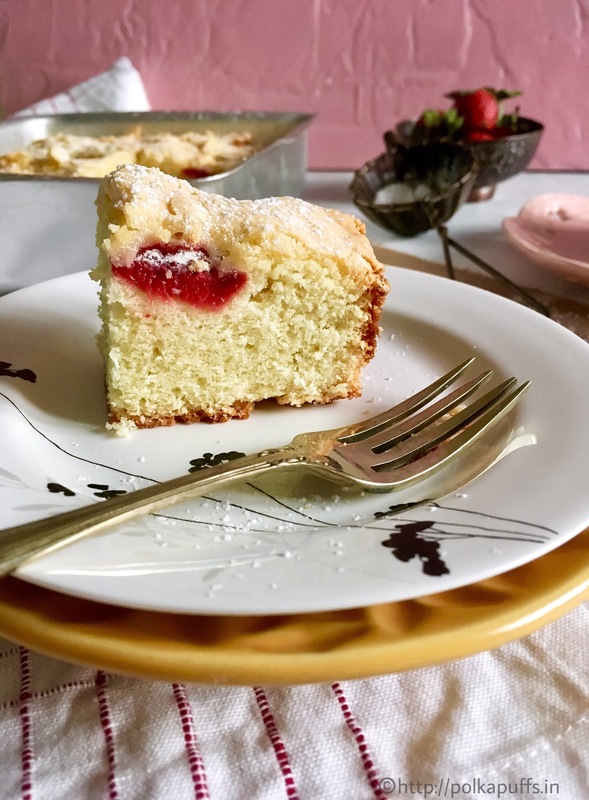 You could even serve this as a light tea cake too. 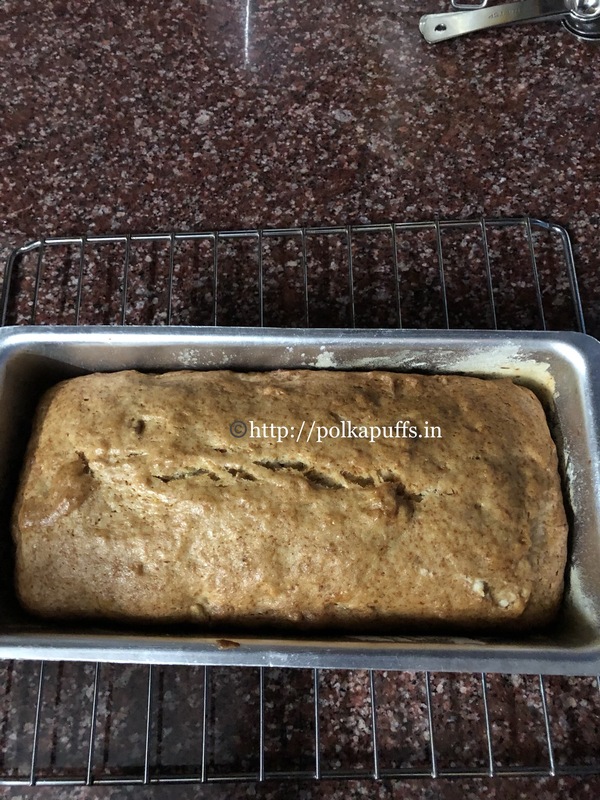 It’s rustic and looks gorgeous without making any efforts. 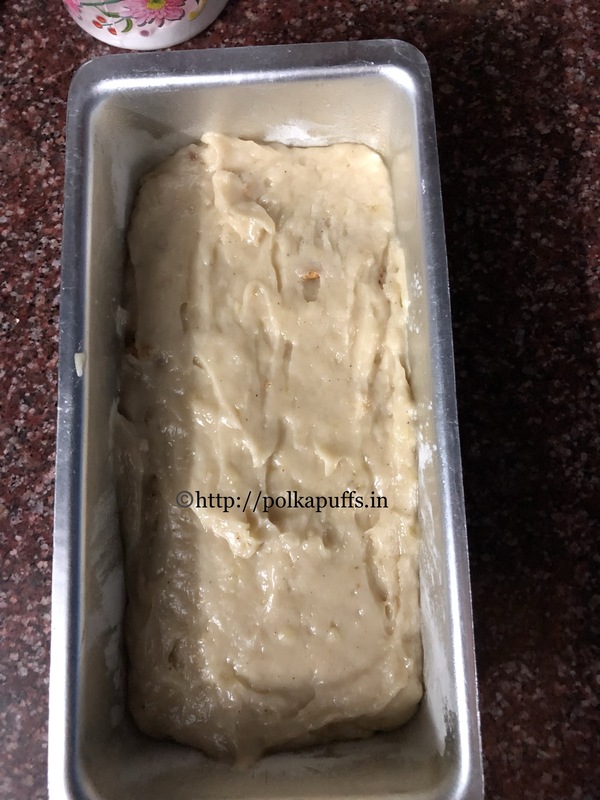 Let’s make this bread right away, make sure all the ingredients are at room temperature..
Pre- heat the oven to 180′ C. Brush a 9 inch X 5 inch loaf tin with some butter and line with baking paper. 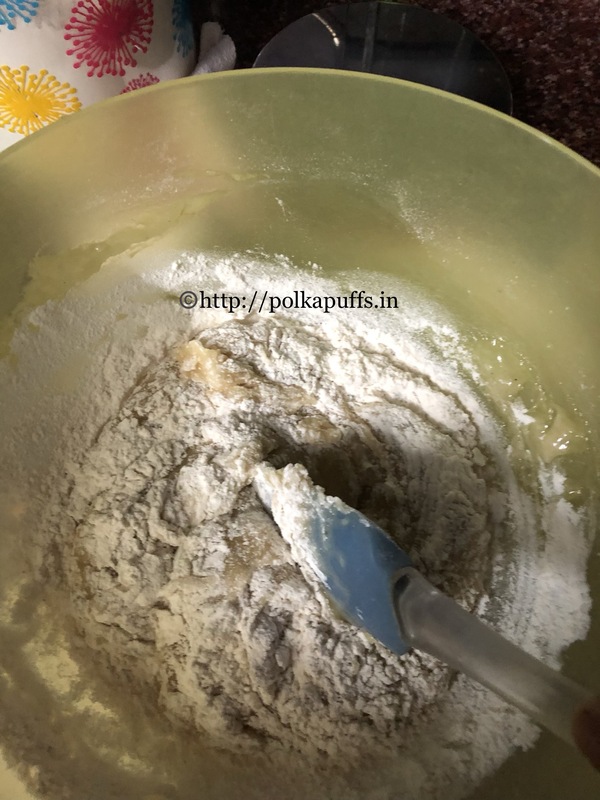 In a large mixing bowl, mix together flour, almond meal, baking powder, demerara sugar, salt. Mix well with a whisk. 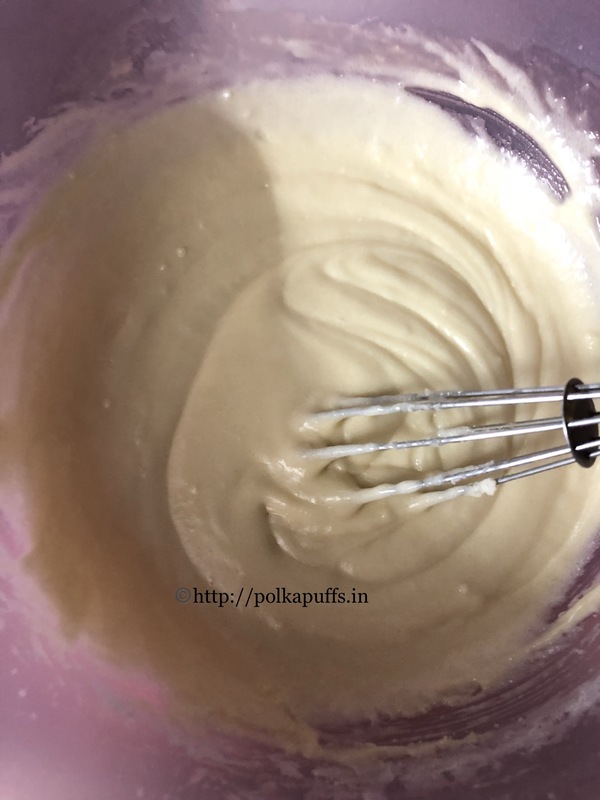 In a separate mixing bowl, blend together mashed bananas, refined oil, and yoghurt. Then add this mixture to the flour mixture. 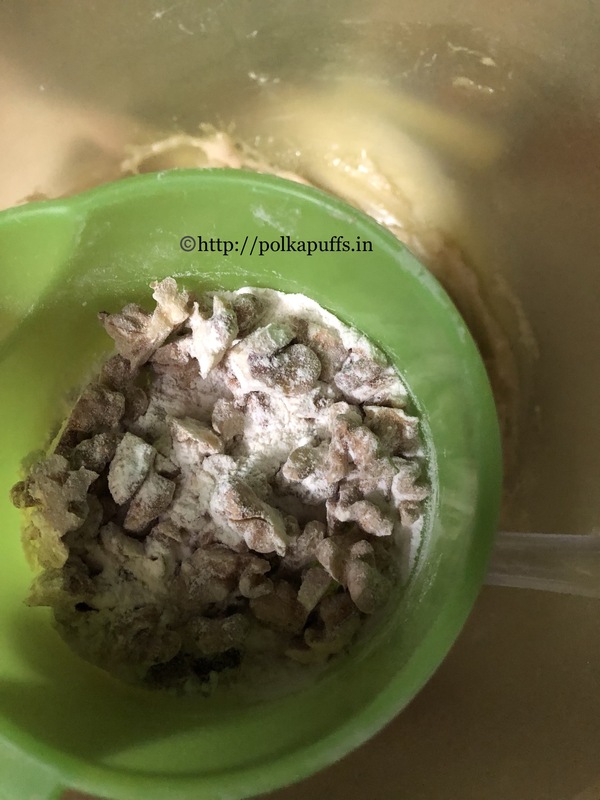 Fold the chopped walnuts and almonds and pour the batter into baking tin. Top up with banana split lengthwise (optional). 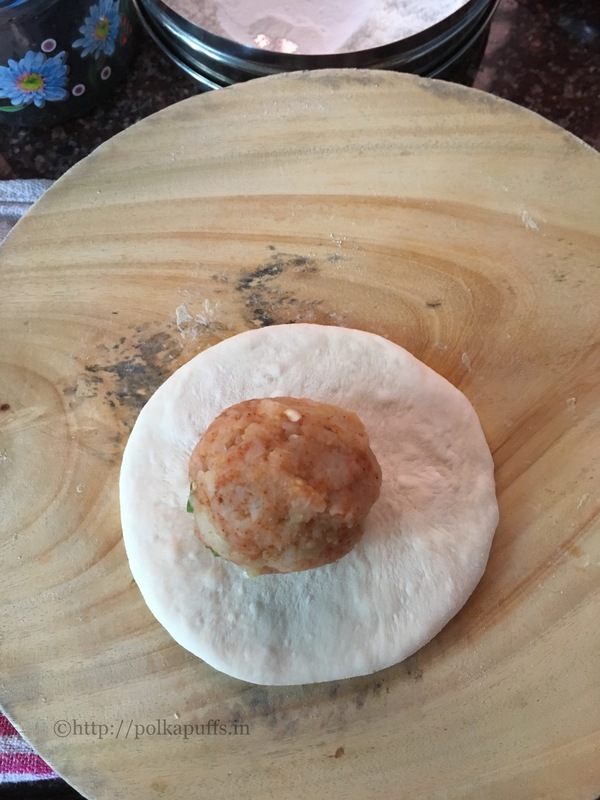 Bake for 45-50 minutes, until a skewer inserted to the center of the bread comes out clean. If the bread begins to look too brown on the top after the first 30 minutes, then cover the top with some aluminum foil. Cool the bread for 10-15 minutes before removing from the tin. Place the bread on a cooling rack and cool for a further 30 minutes before slicing the bread. The bread keeps fresh for 2 days in a bread saver/ tin. Pre- heat the oven to 180' C.
Brush a 9 inch X 5 inch loaf tin with some butter and line with baking paper. 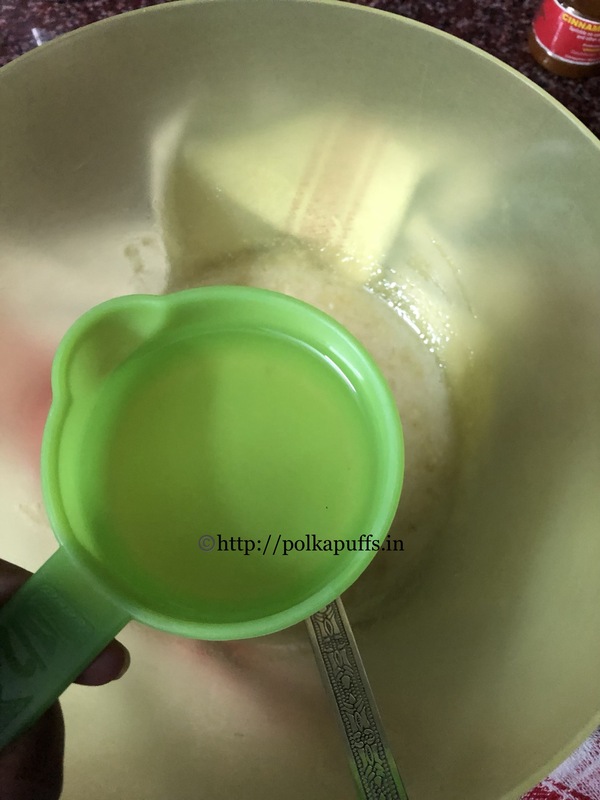 In a separate mixing bowl, blend together mashed bananas, refined oil, and yoghurt. Then add this mixture to the flour mixture. 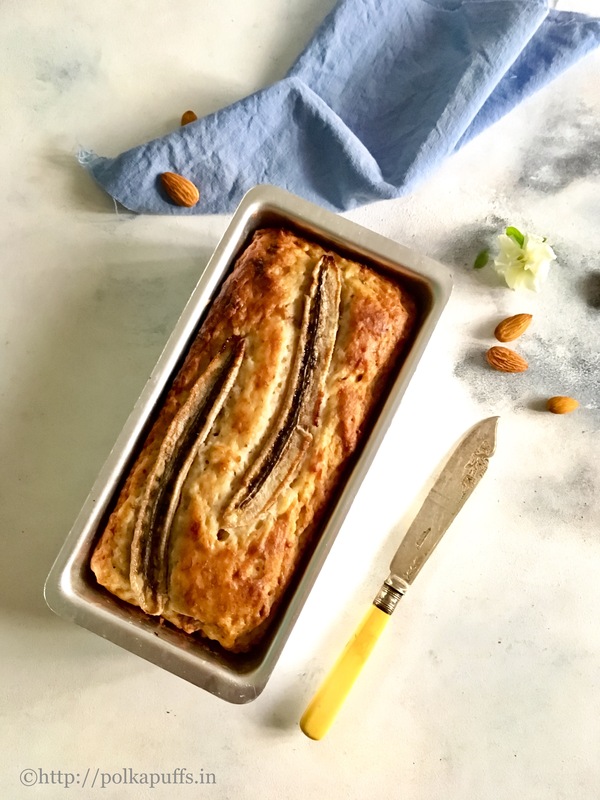 Fold the chopped walnuts and almonds and pour the batter into baking tin. Top up with banana split lengthwise (optional). 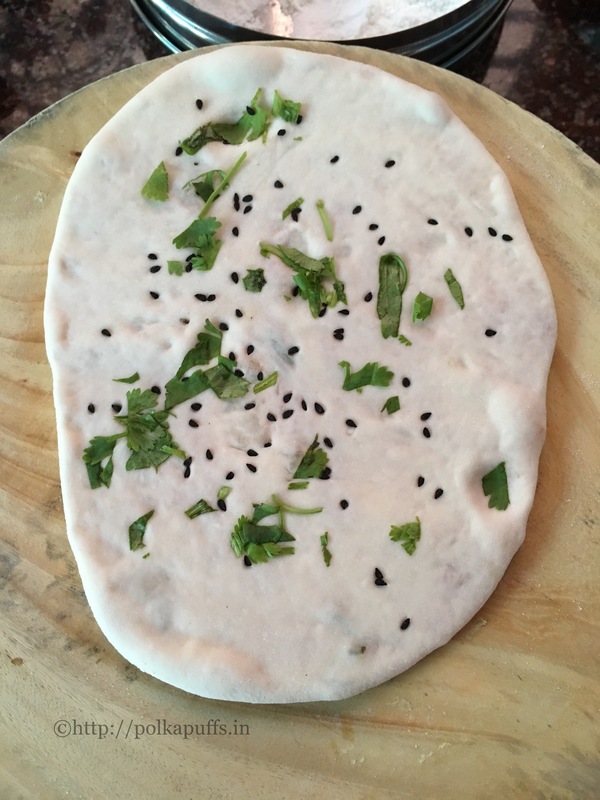 Bake for 45-50 minutes, until a skewer inserted to the center of the bread comes out clean. 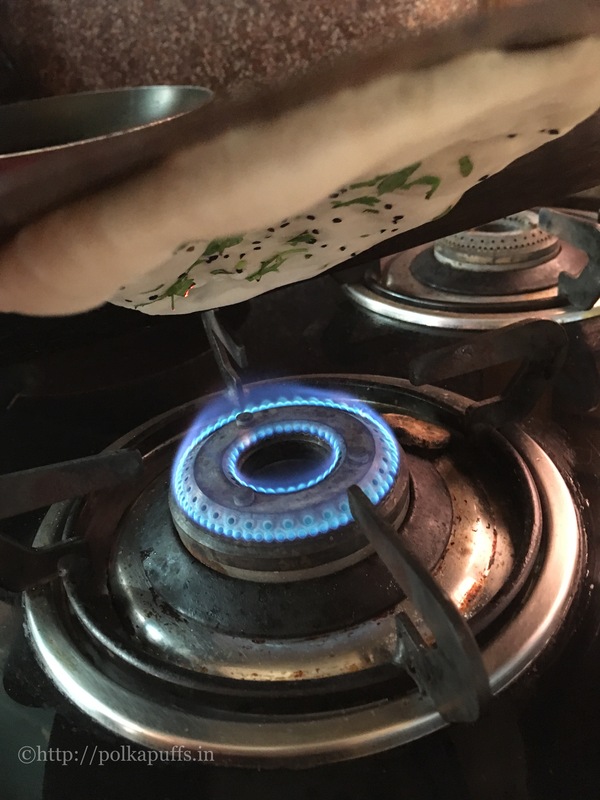 If the bread begins to look too brown on the top after the first 30 minutes, then cover the top with some aluminum foil. 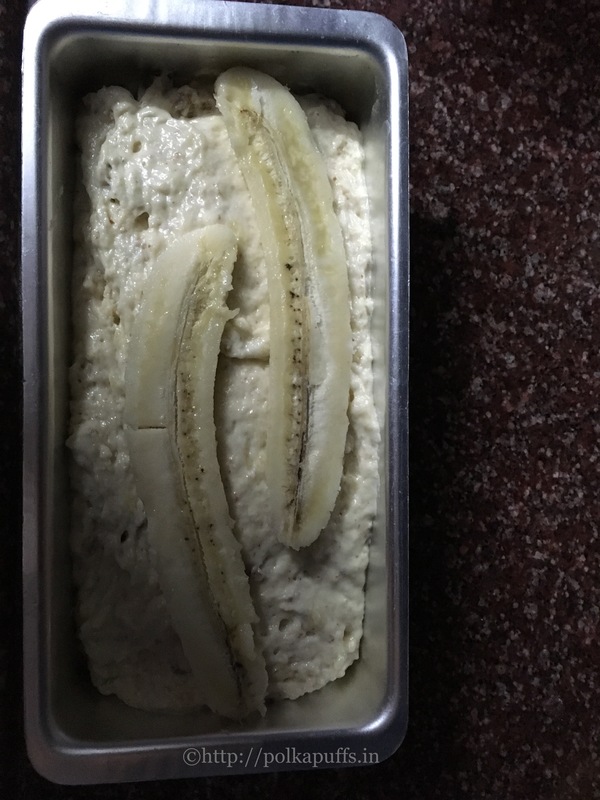 Cool the bread for 10-15 minutes before removing from the tin. Place the bread on a cooling rack and cool for a further 30 minutes before slicing the bread. 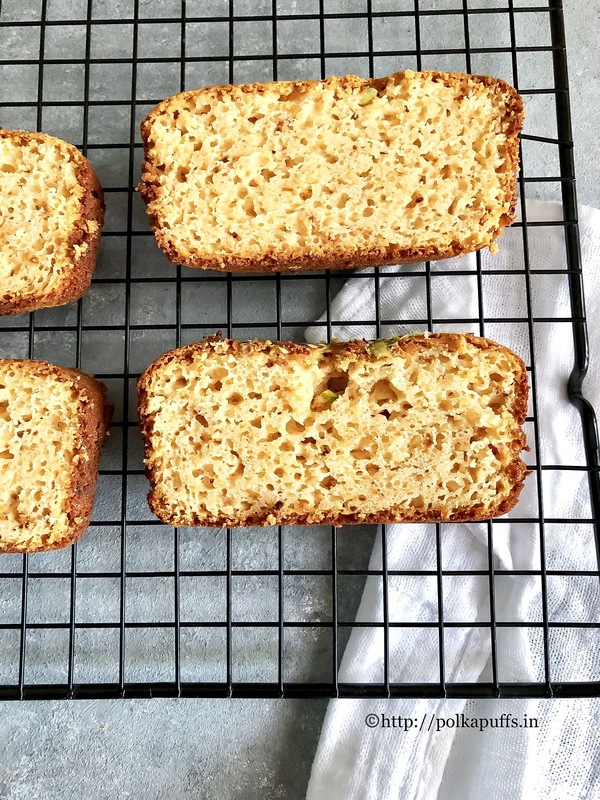 This bread is very mildly sweet but works well for us. Add more sugar if you would like it a bit more sweeter. The bread keeps fresh for 2 days in a bread saver/ tin. If the bread begins to look too brown on the top after the first 30 minutes, then cover the top with some aluminum foil. 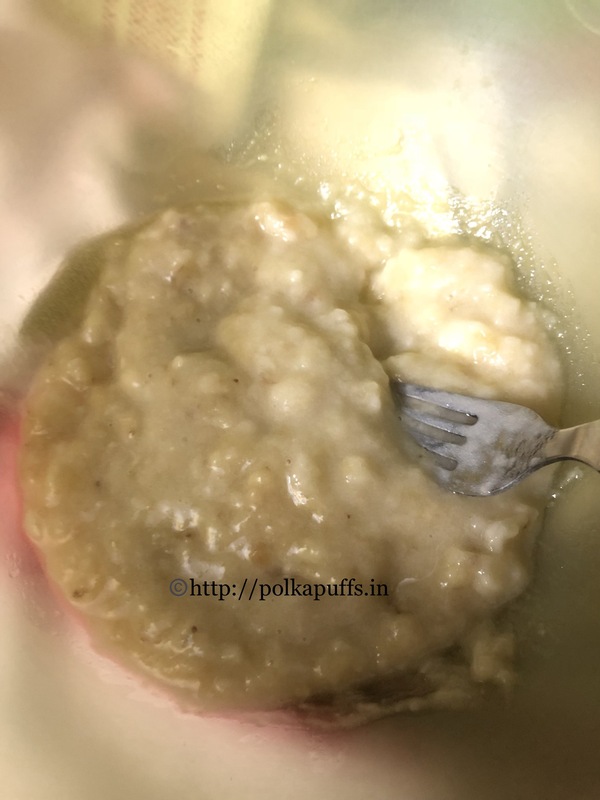 The original recipe has all the measures in grams only, I've tried to convert them to the best of my capacity to enable you to try this recipe. Use ingredients in grams for best results. I even served this bread with some chocolate ice-cream for dessert the other night, warm slices of bread with icy cool ice-cream was so good!! Look at the texture of the bread, it’s moist and holds together very well 🙂 I hope you’ll try this one soon. 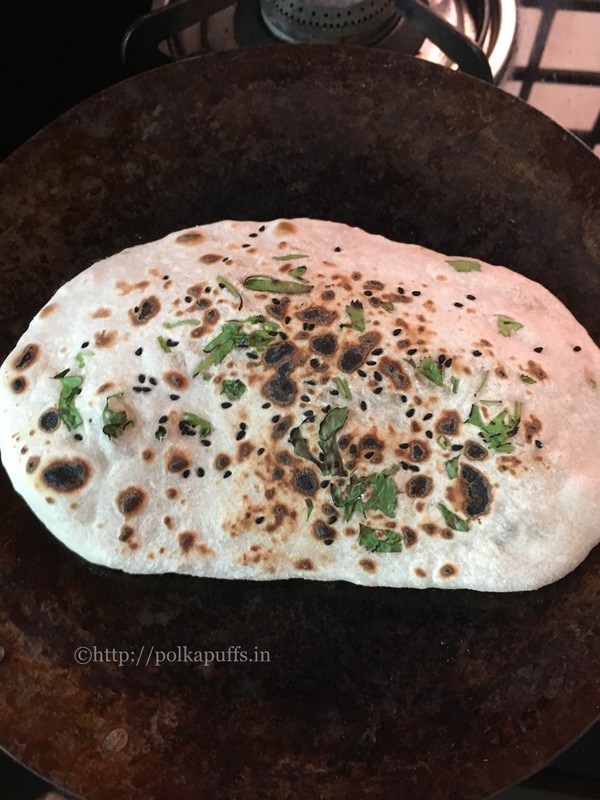 This is a regular breakfast or evening snack at our place…and my Mom’s recipe for the filling/ Aloo Masala is super duper yum! 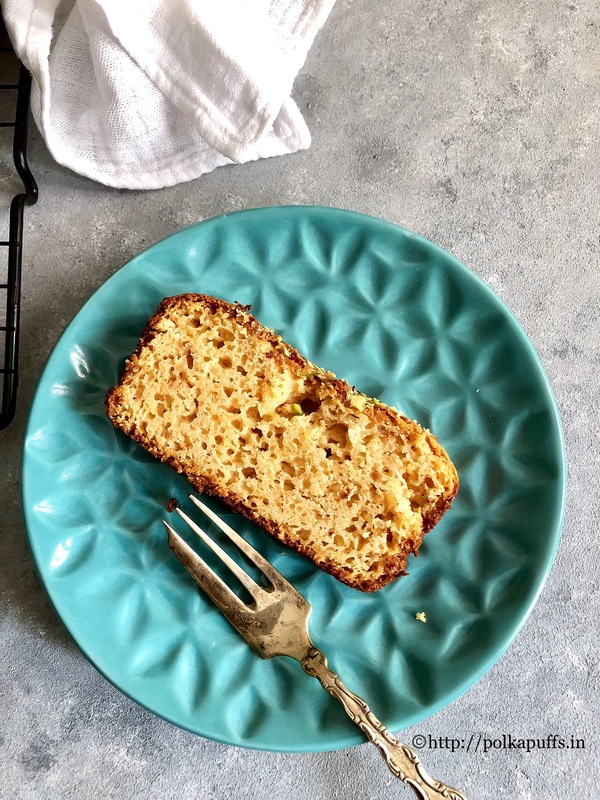 I usually use brown bread to make them…you can use regular white sandwich bread or any multigrain bread if your choice. 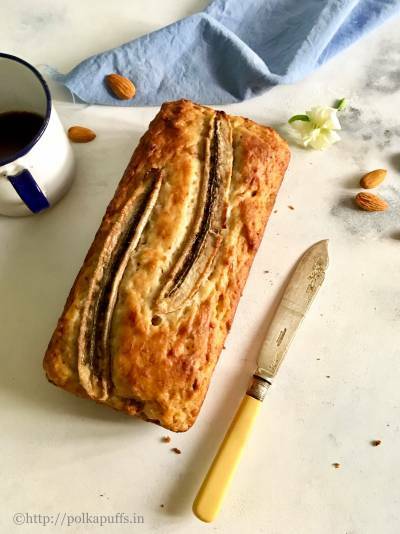 I had once even used a Homemade Herbed Focacia bread for this sandwich and it was so good! 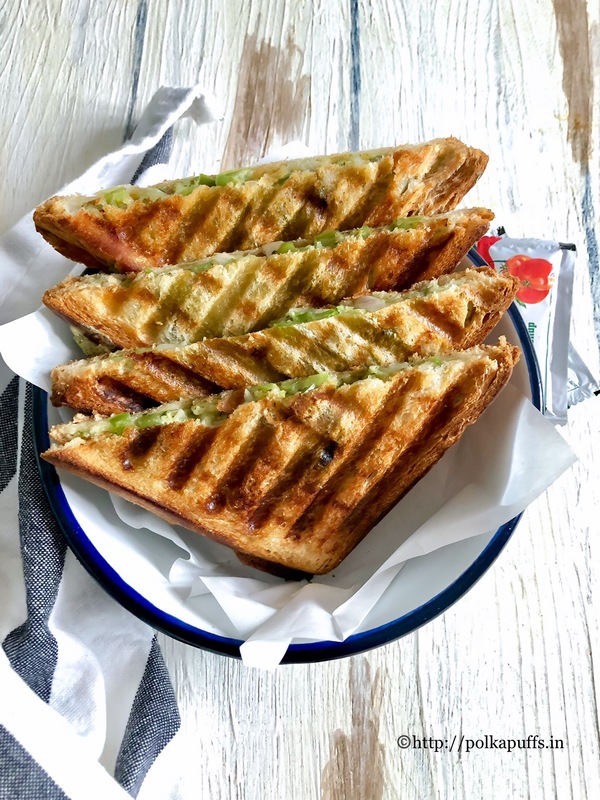 Do try my recipe for Green Chutney, it goes so well with sandwiches. Anyways…let’s get you started on the recipe..
Heat oil in a non-stick pan. Once the oil is hot, add cumin seeds, hing and chopped green chillie. Sauté for a minute. Next, add the chopped onions. Sweat them for a few minutes. Then add the capsicum. Sauté again. Tip in the tomatoes followed by the salt, turmeric, red chillie powder, ginger-garlic paste. Mix well and cook these together until the tomatoes turn mushy and the raw smell of the ginger- garlic paste goes away. Next, add the mashed potatoes along with the Pav bhaji Masala. Also add the amchur powder and mix well. Turn off the flea me. Add chopped coriander leaves and give them all a final mix. That’s your filling done! 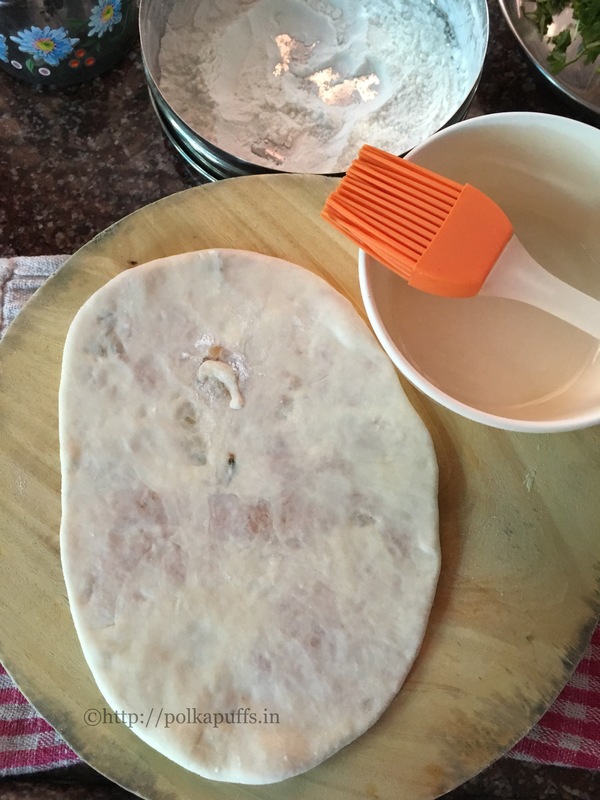 Keep well in the refrigerator for 3-4 days. Take 2 slices of bread. Slather both the slices with butter. Sprinkle some chaat Masala (optional) and spread a thick layer of the potato filling. Heat the griller/ toaster…spread some butter on the griller plate and place the sandwich on it and let it crisp up on both sides. Serve hot with some chips/ crisps and ketchup! Yield: can be used for upto 6-7 sandwiches with generous amount of the potato filling. 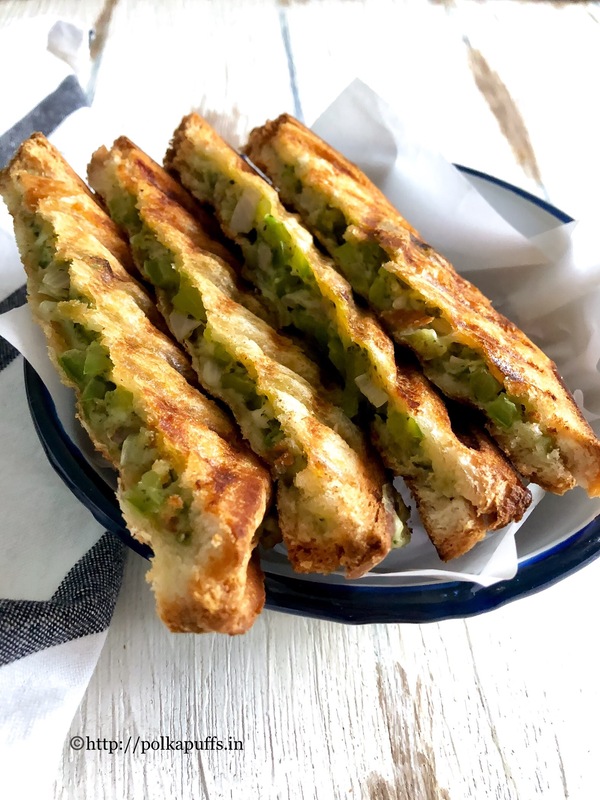 Bombay Aloo Masala Sandwich is spicy, tangy and very delicious. 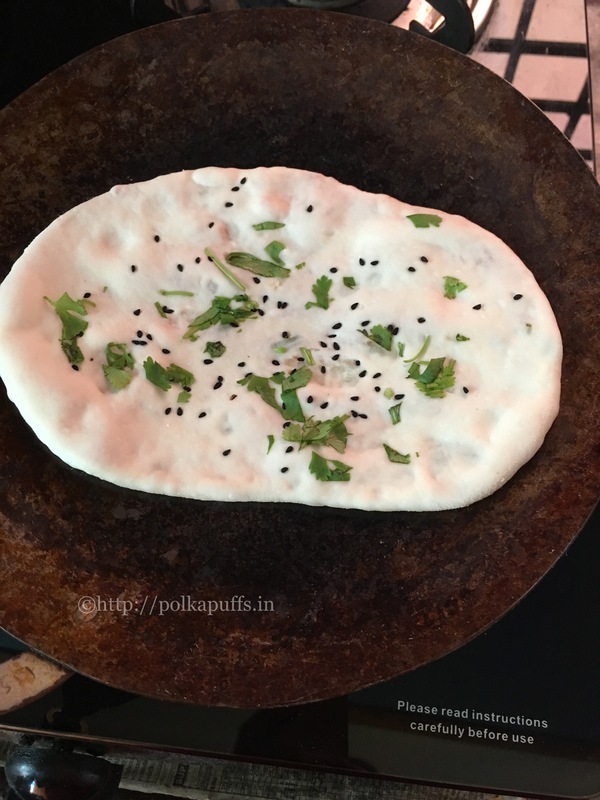 Perfect for breakfast, brunch, lunch box or even a quick meal. Once the oil is hot, add cumin seeds, hing and chopped green chilies. Sauté for a minute. Next, add the chopped onions. Sweat them for a few minutes. Then add the capsicum. Sauté again. Tip in the tomatoes followed by the salt, turmeric, red chili powder, ginger-garlic paste. Mix well and cook these together until the tomatoes turn mushy and the raw smell of the ginger- garlic paste goes away. Next, add the mashed potatoes along with the Pav bhaji Masala. Also add the amchur powder and mix well. Turn off the flea me. Add chopped coriander leaves and give them all a final mix. That's your filling done! Keep well in the refrigerator for 3-4 days. Take 2 slices of bread. Slather both the slices with butter. Sprinkle some chaat Masala (optional) and spread a thick layer of the potato filling. Heat the griller/ toaster...spread some butter on the griller plate and place the sandwich on it and let it crisp up on both sides. Serve hot with some chips/ crisps and ketchup! Use veggies of your choice if you like to make variations. Add cheese if you'd like some. Use this filling in frankies/ rolls, etc. It’s the ‘very berry’ season in my home!! I am literally swamped with berries of late! I am having strawberries and mulberries for breakfast, lunch…dinner and then some for desserts 😁 and I am loving them! They are so juicy and the colour…oh my.. I have an almost permanent purple stain on my lips because of the mulberries 😂😂 but I can’t seem to stop popping them each time I walk past the dining table…and I am never short of excuses to be ‘walking past’!! LoL! I mean, look at them beauties…can keep your hands off?! Specially the mulberries….this is just the third, maybe the fourth time in my entire 29 years of existence that I could lay my hands on them…probably I couldn’t have paid much attention to them around me…but this year has been different…I can see them everywhere..beautiful, organic and absolutely delicious! Just as yummy as the juicy red strawberries. I will share some health benefits of various berries here……I have read a lot about them online and because I prefer eating seasonal produce, I strongly recommend that one must have them but obviously you must consult doctors whenever necessary. Reduces the chance of contracting eye related ailments and issues. Helps maintains a healthy heart by keeping Blood Pressure in check. Reduces risk of of gout, cancer and arthritis. Great anti-oxidant and helps maintain great skin, hair and overall health. Studies say that one bowl of strawberries a d is just about 50 calories! Prevents blood clots and heart stroke. Prevents seasonal cold and flu. Strengthens kidney and helps cleanse liver. Keeps blood sugar in check. So this time around, I wanted to use both the berries in the jam and that’s exactly what I have done! 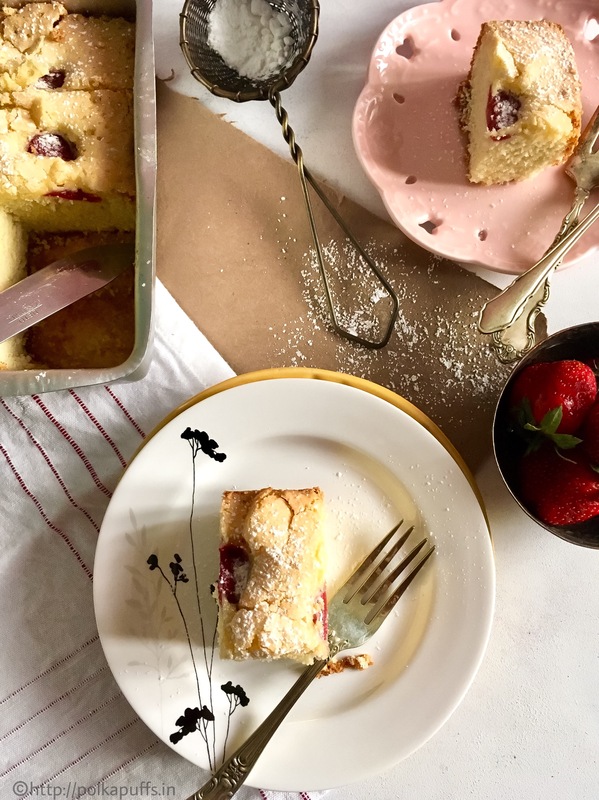 Look at the jam…it’s so beautifully coloured…and has little chunks of strawberries and mulberries 😍…perfect on a slice of fresh homemade sandwich bread!…..yummmm! 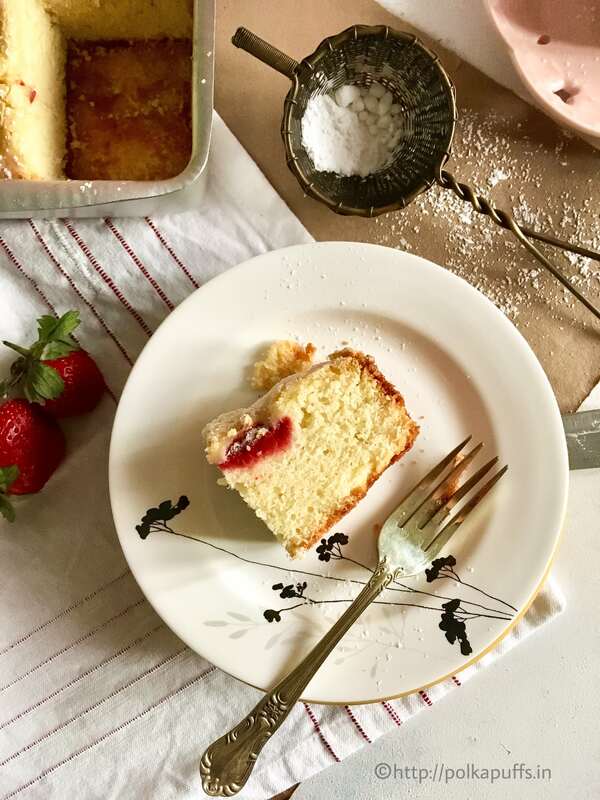 Since I am not tea/ coffee person, I prefer a light lemon tea with a ton of sugar…literally 😂😂 and a couple of slices of bread with my homemade jam slathered all over ….pure bliss! 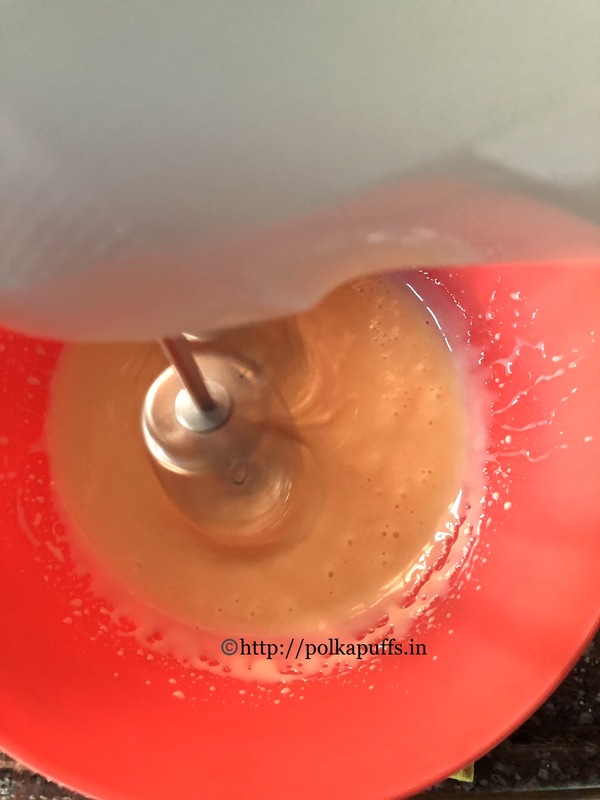 Equipment: a big bowl, measuring cups/ spoons, a heavy bottomed pan, a potato masher, a small stainless steel/ ceramic plate, a clean & dry glass bottle to store the jam. Wash the mulberries and the strawberries, pat them dry. Then hull the strawberries using a paring knife (a regular knife will also do). Remove the small stalks on each mulberry. Chop the berries roughly and keep them in a large bowl. Add sugar to this and mix well. 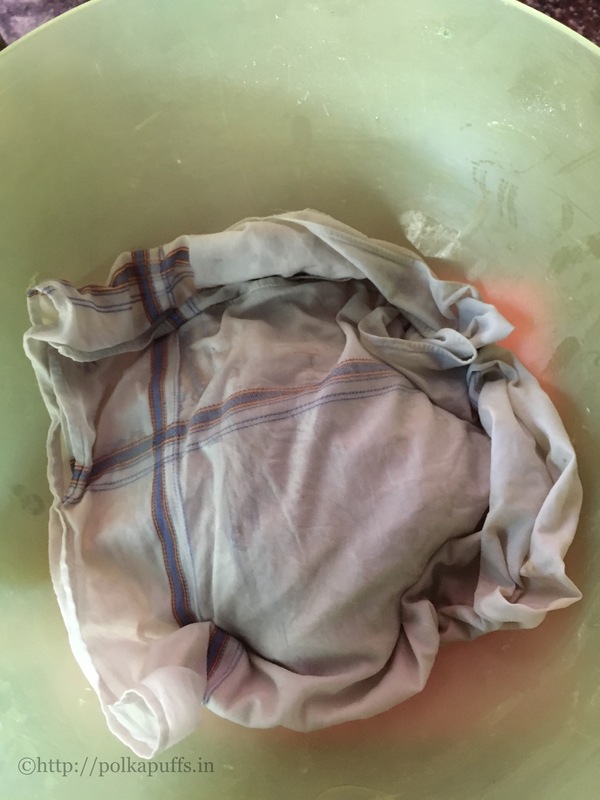 Cover and set it aside for 4-5 hours. Remember to stir it once every 30 mins or so. This will macerate the mulberries and the strawberries well (help in releasing the juices). After 4-5 hours, that’s how they should look. Alongside, place a ceramic/ stainless steel plate in the freezer, it will be used later to check the consistency of the jam. 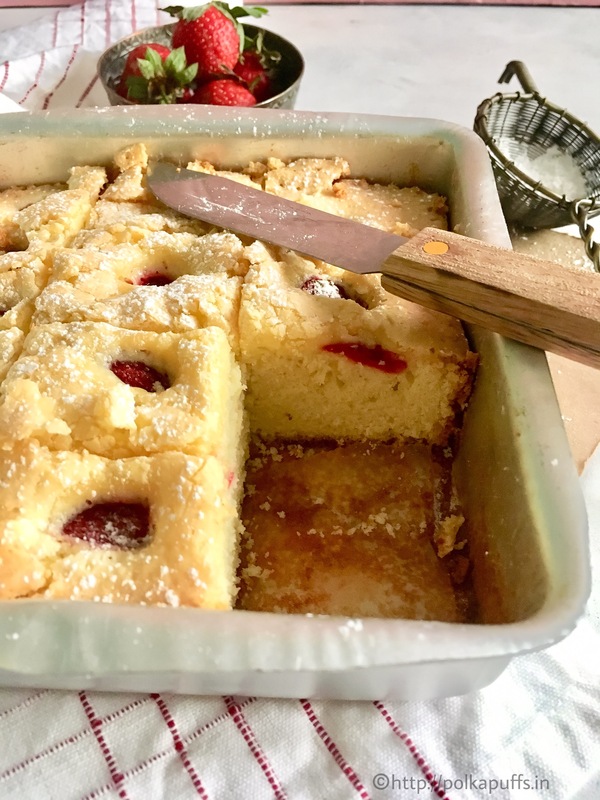 Heat a heavy bottomed pan, add the mulberries and the strawberries with all their juices to the pan, stir continuously until they come a rolling boil, this will take about 6-7 mins. Using a potato masher, mash the mulberries and the strawberries well and continue to stir. Cook for another 10 mins. Add the lemon juice at this stage (lemon juice is added to give a nice gloss to the jam). Let it cook & allow the juices to reduce for a few mins, but ensure you stir it constantly. Once the jam looks thick and gooey, keeping the flame on, drop some on the chilled plate and wait for 30 secs to let it set. Then draw a line in between, if the lines do not spread into each other, it means that the jam is ready & you can turn off the gas. If not, then cook it for another 5-7 mins and repeat this step with another chilled plate.